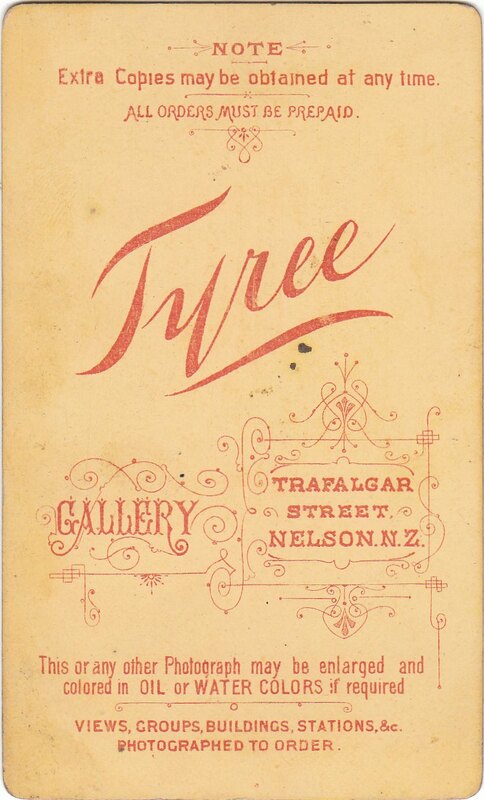 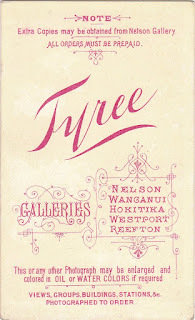 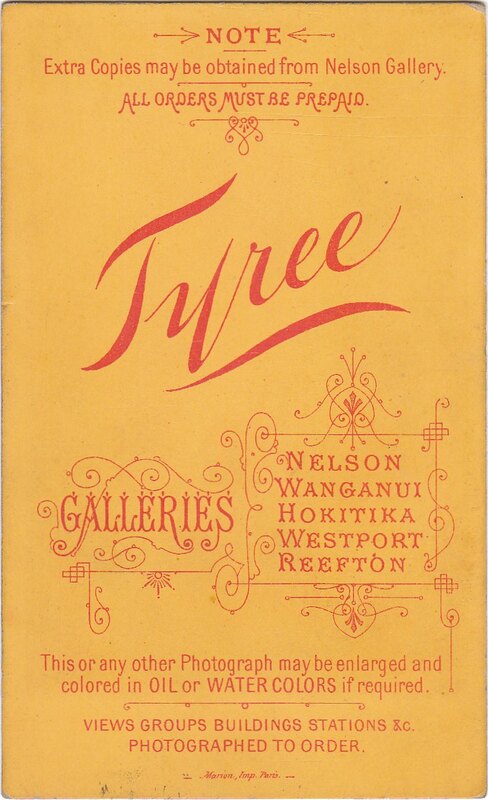 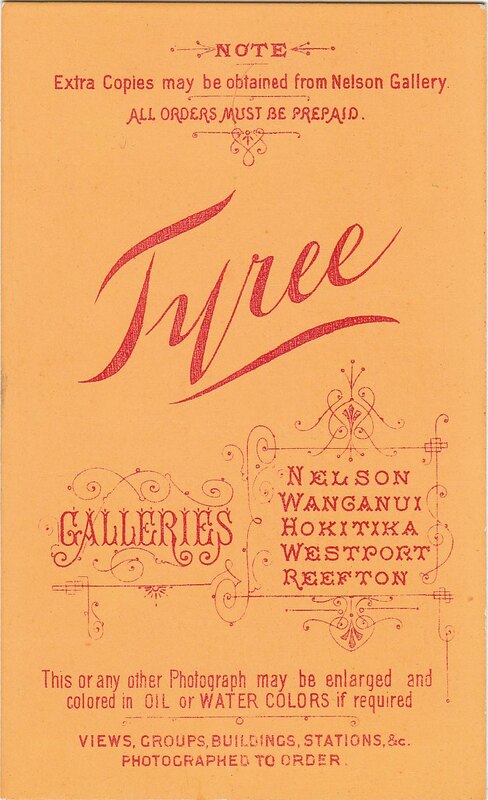 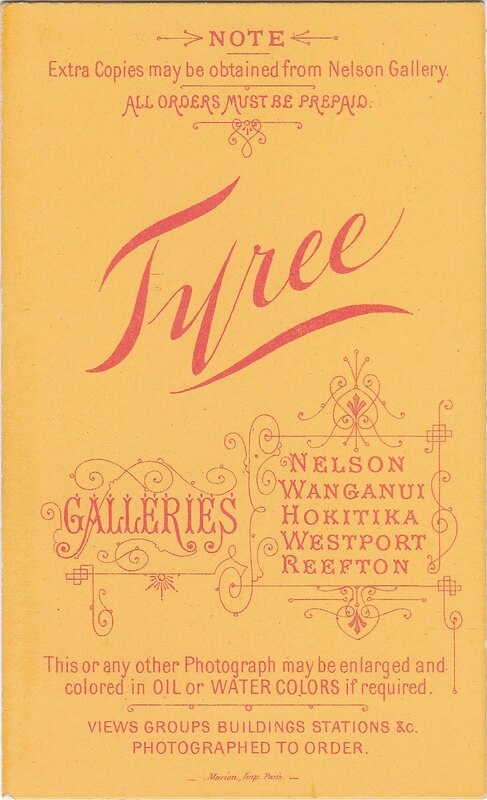 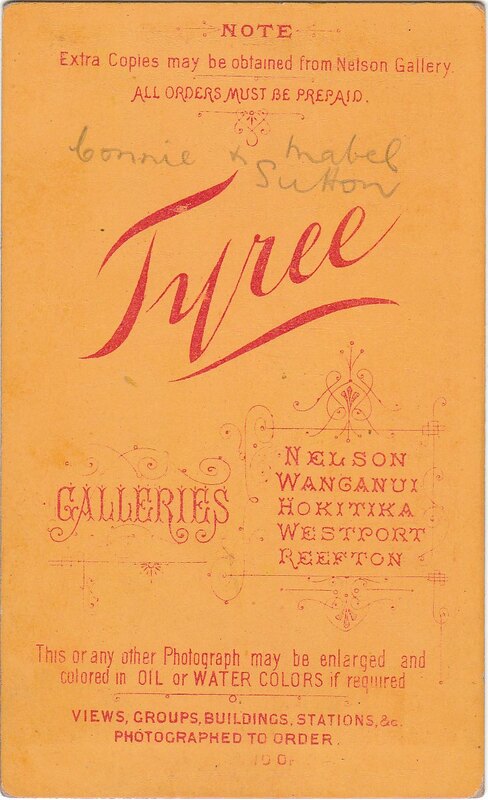 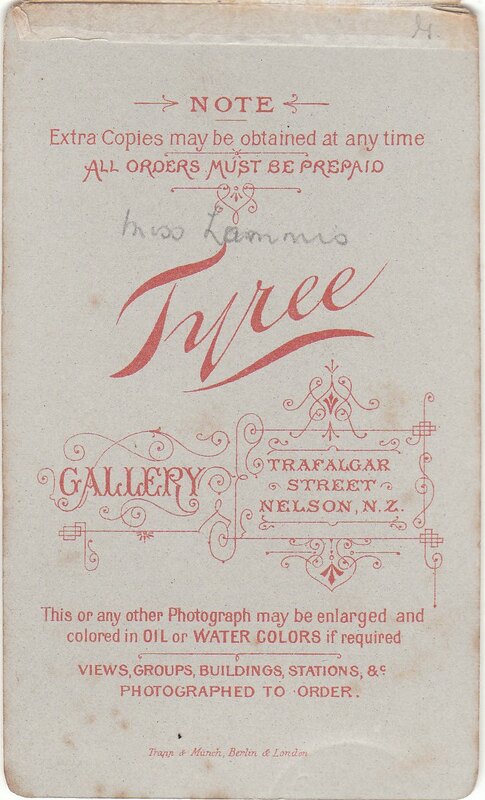 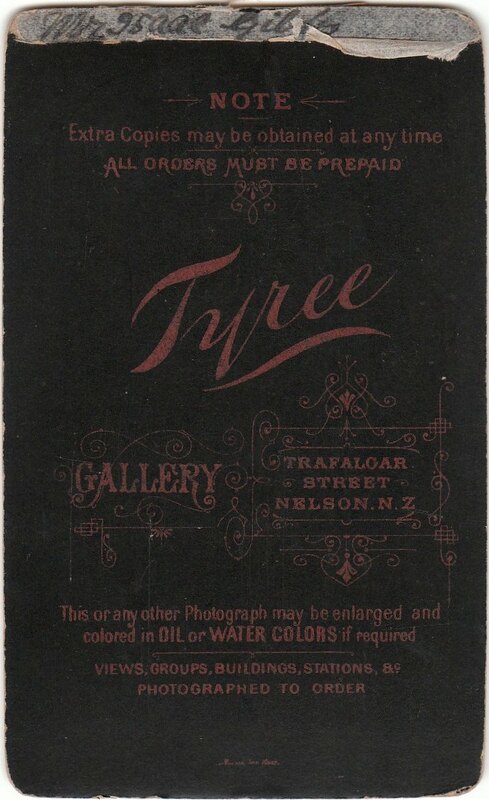 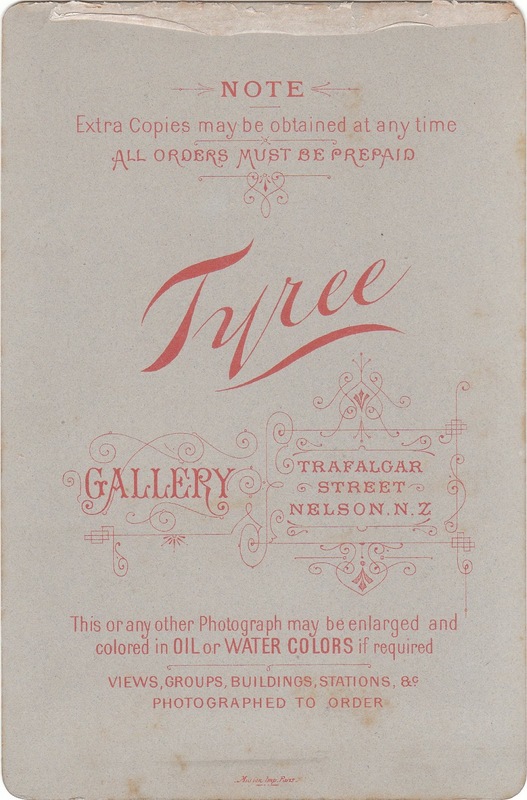 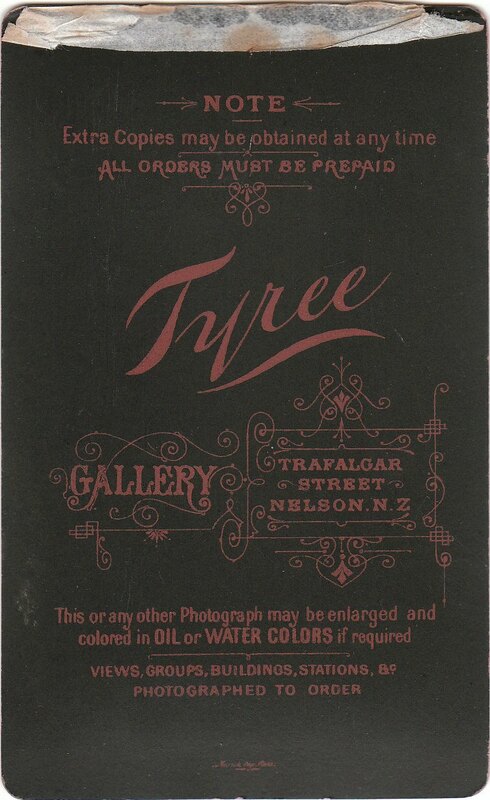 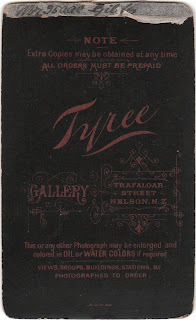 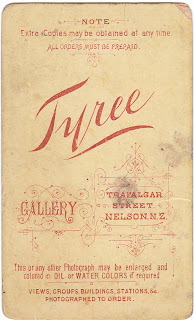 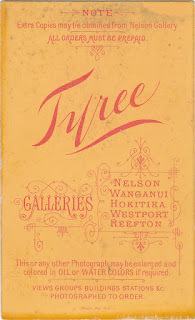 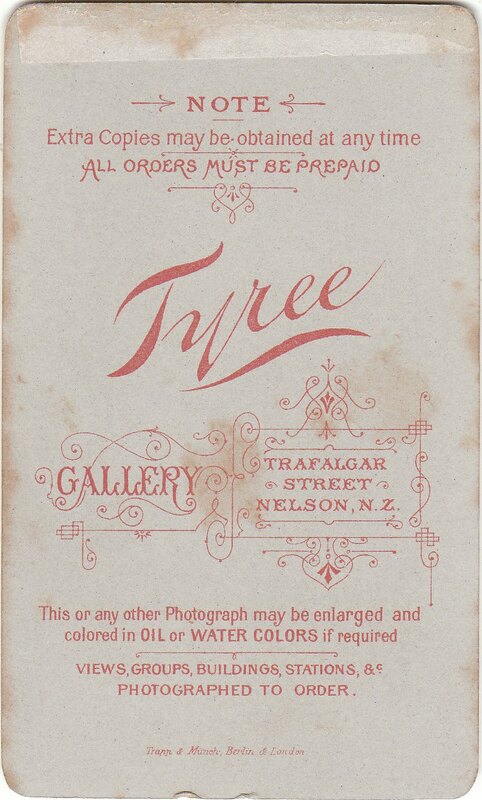 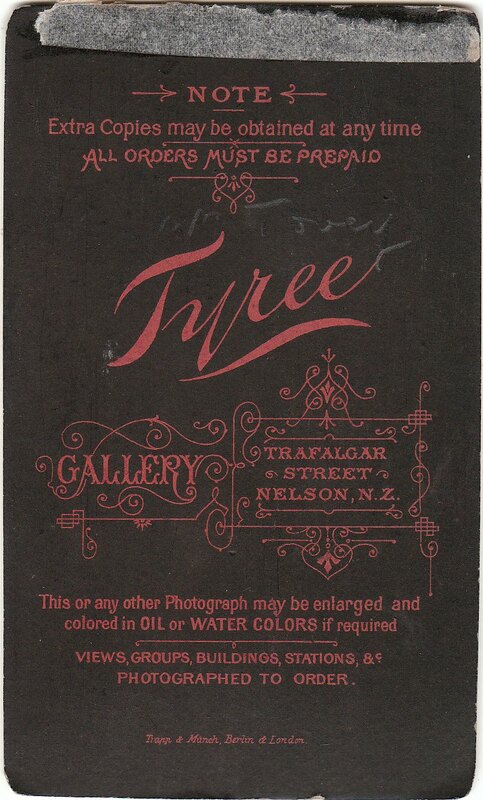 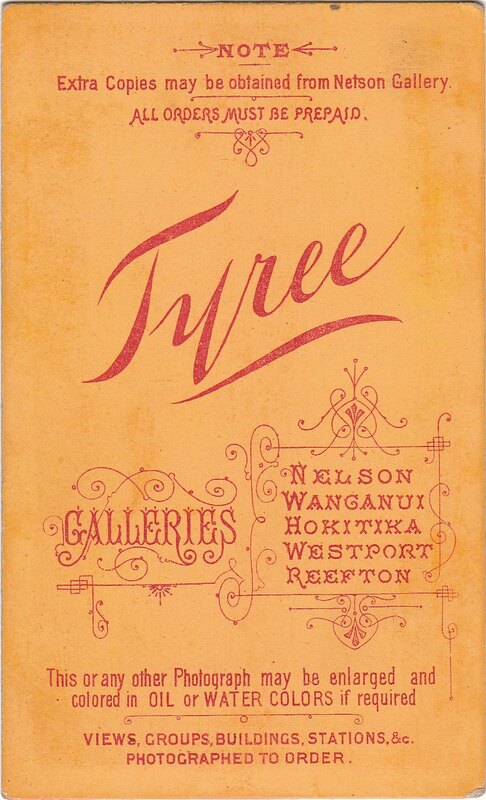 One of the most valuable pictorial records of the past which New Zealand possesses, is the quarter of a million negatives, called “The Tyree Collection” and owned by the Nelson Provincial Museum. 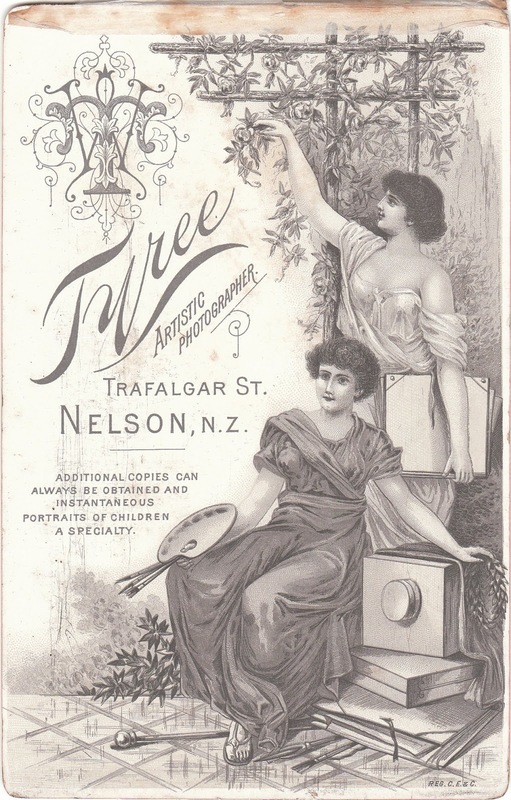 Although belonging to the Museum they are at present housed, very securely, in a 12 x 20ft concrete strongroom behind Hallenstein Bros. building in Trafalgar Street, Nelson. 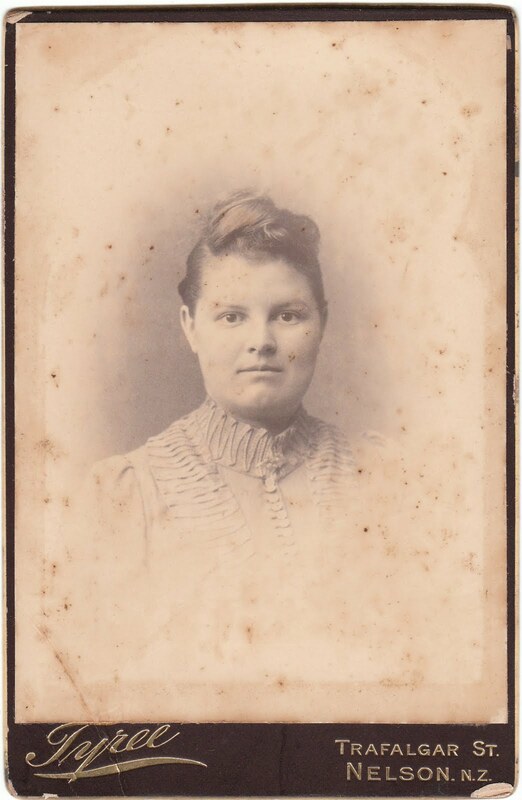 As one enters this room one cannot help but wonder at the organisation which can pack 250,000 glass plates so neatly into one small room. 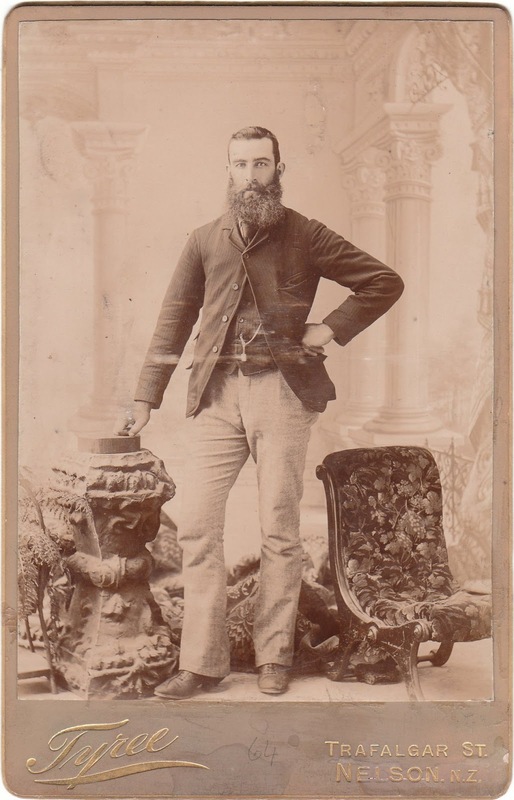 This amazing collection officially starts from 1878, but there are some negatives inherited from an earlier photographer and plates actually go hack to the mid 1860’s. 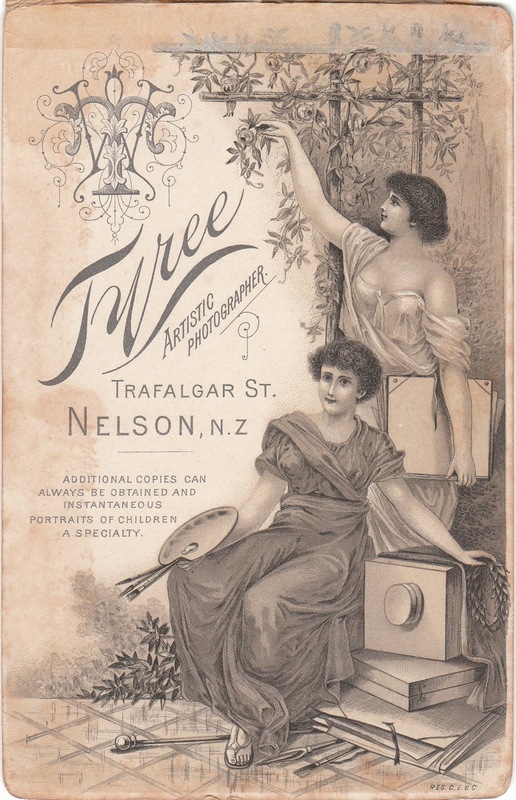 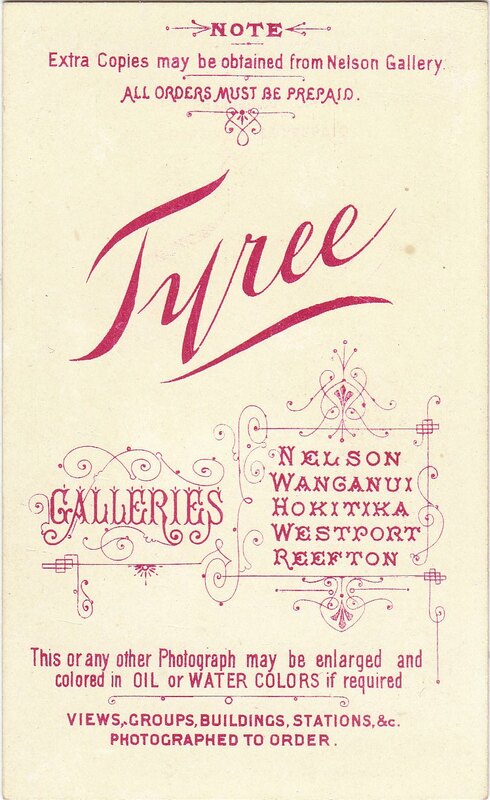 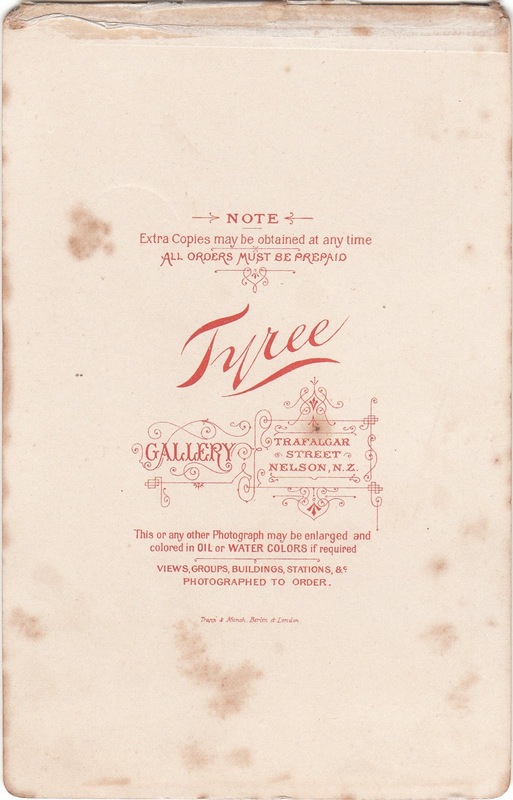 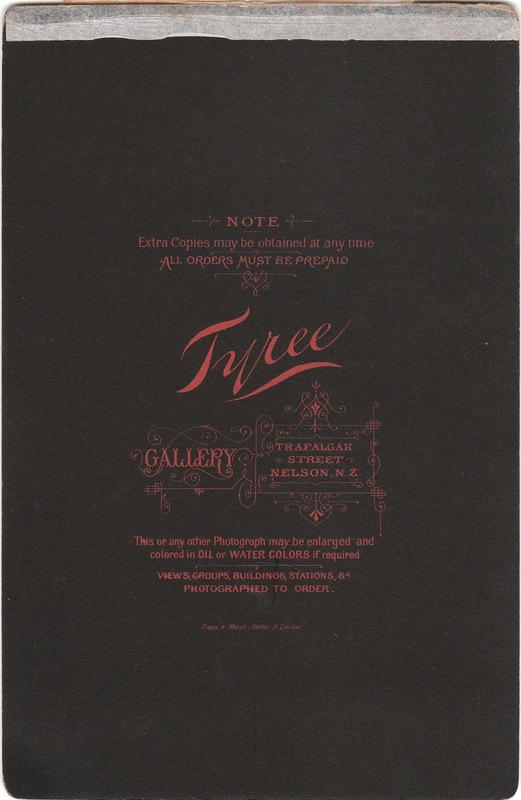 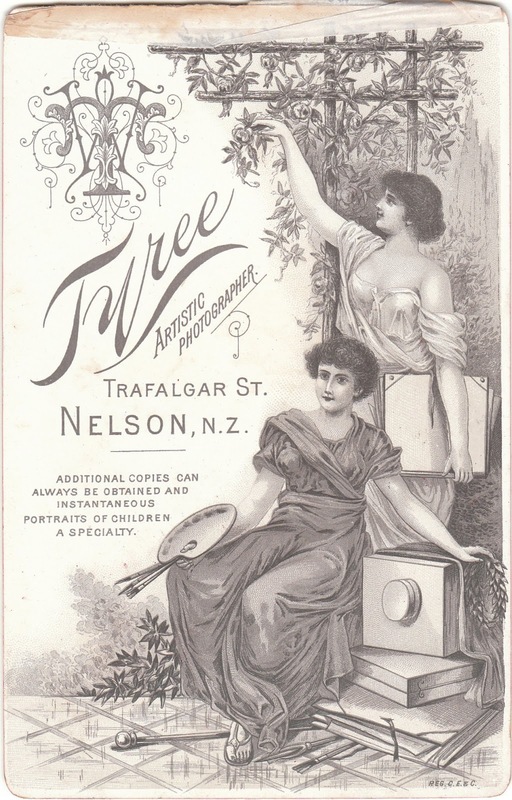 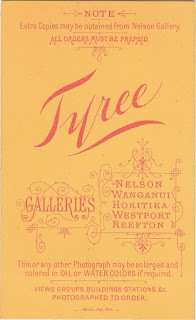 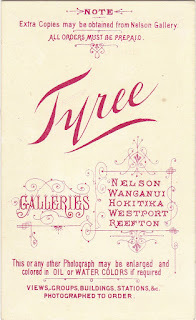 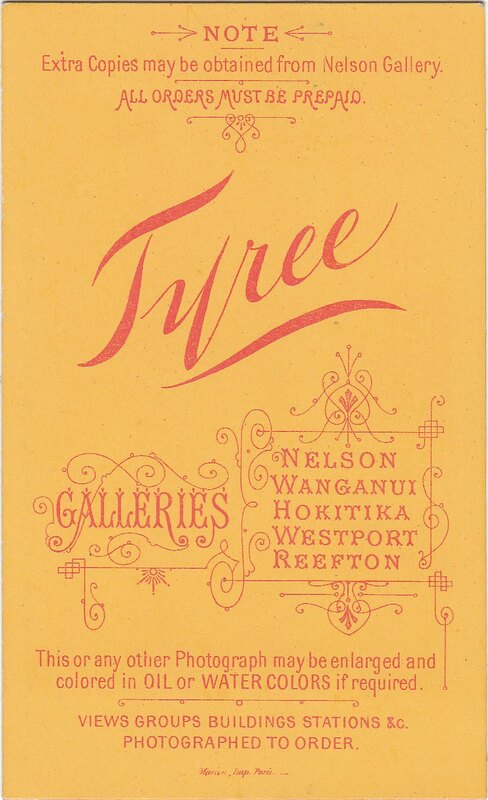 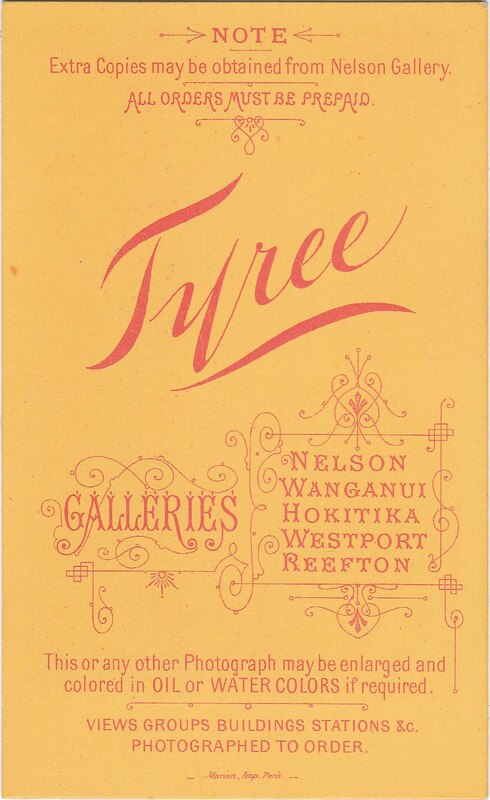 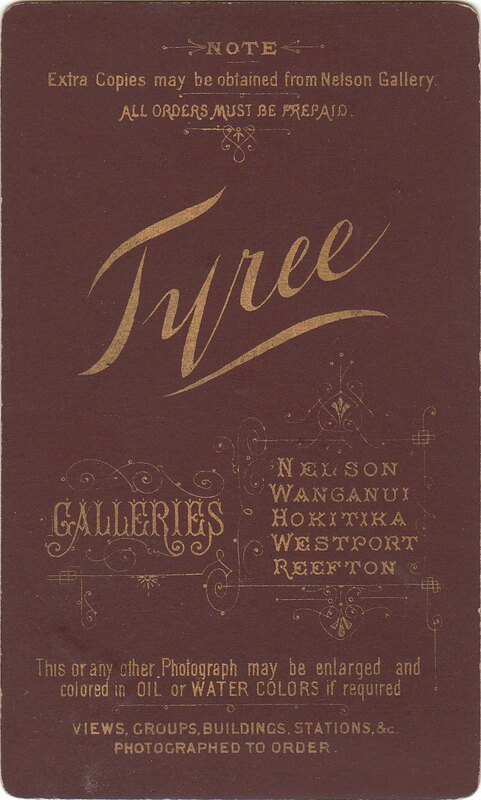 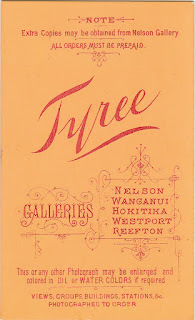 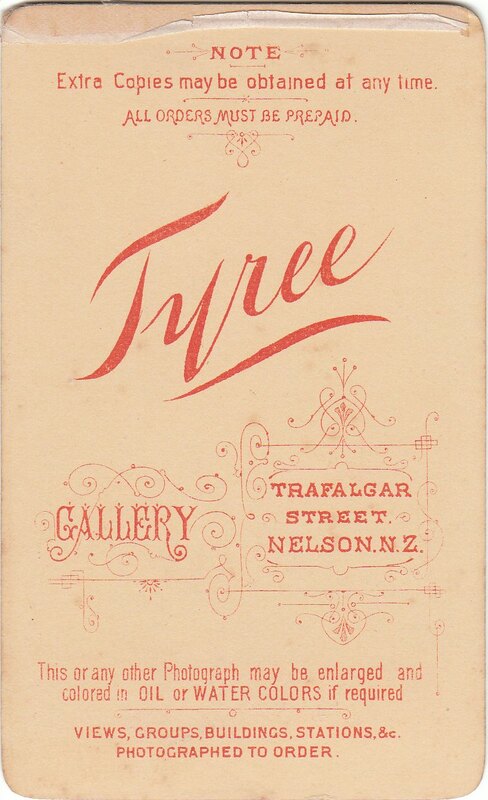 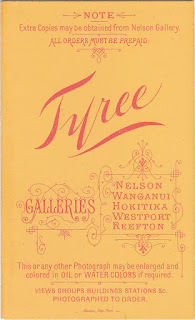 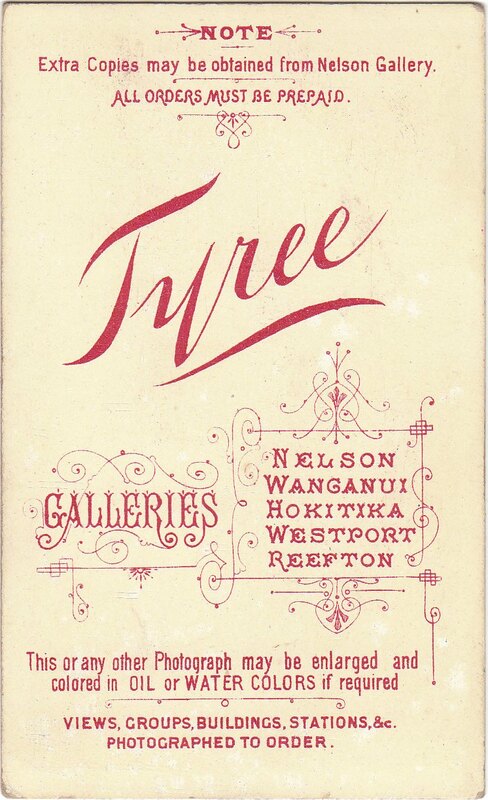 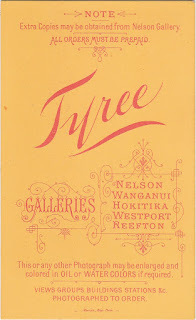 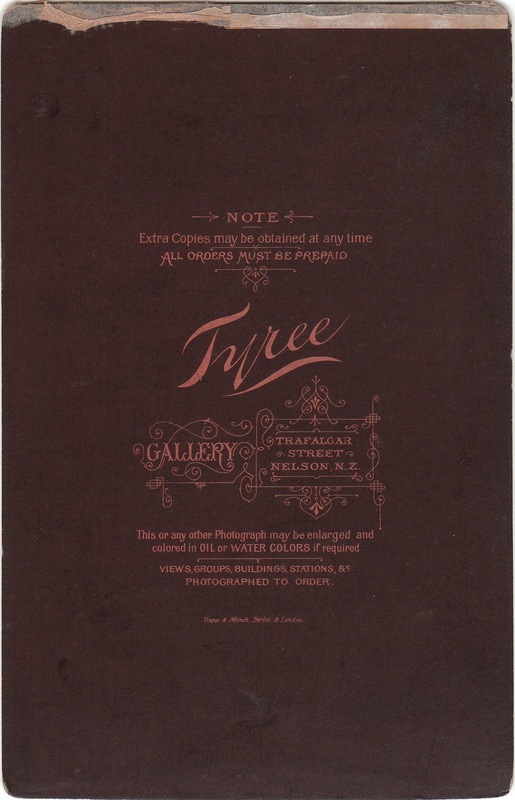 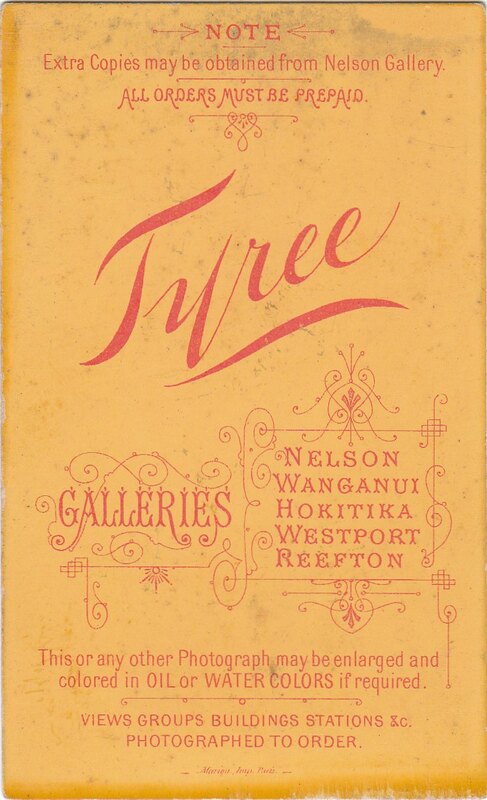 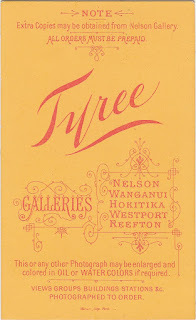 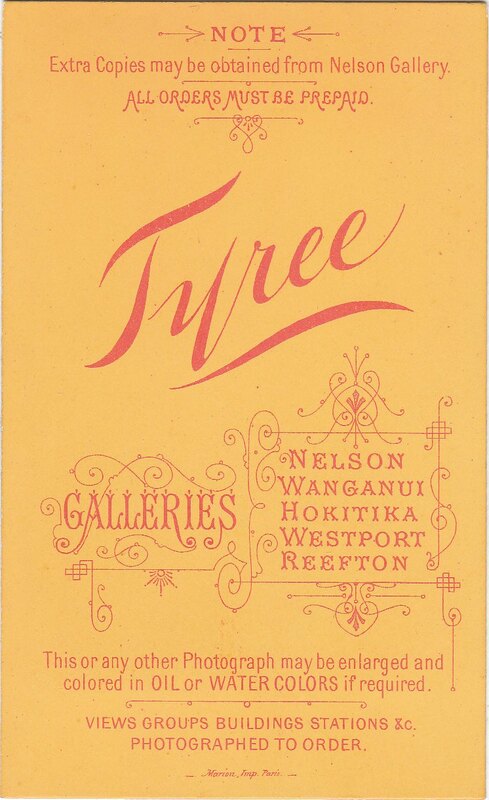 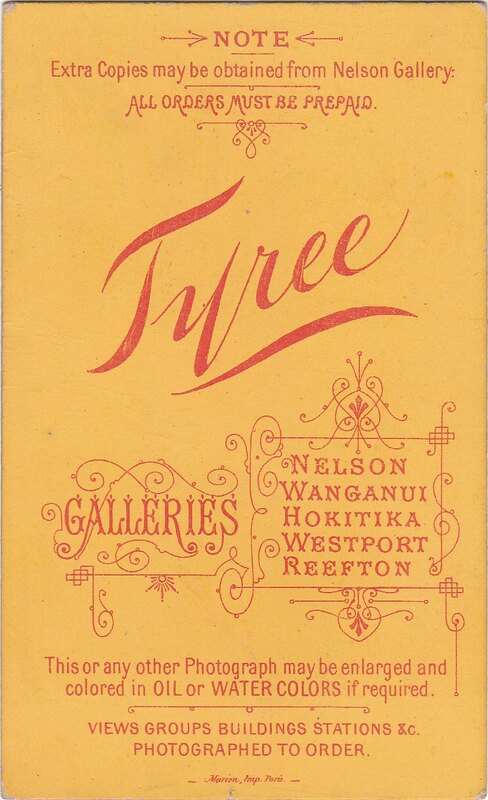 The business was started by William Tyree who came to Nelson in 1878 at the age of 24. 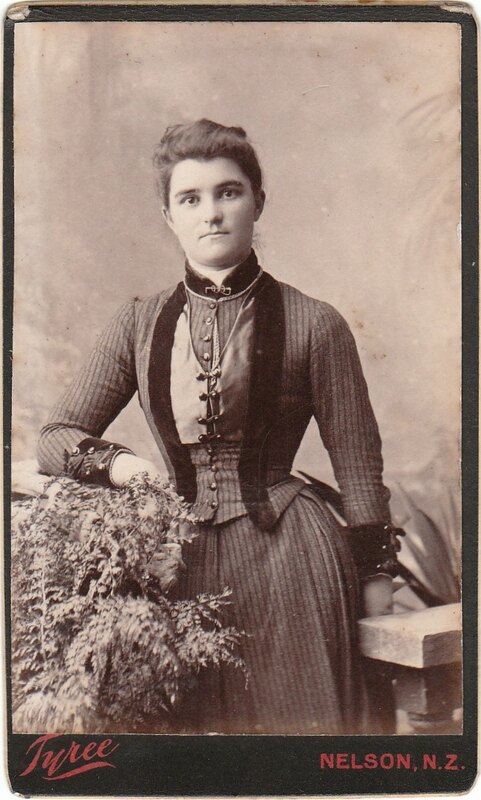 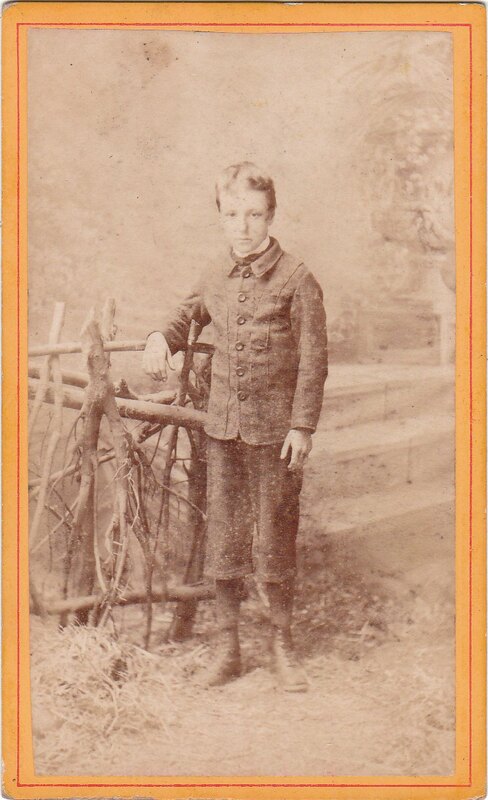 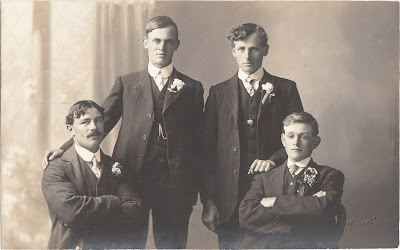 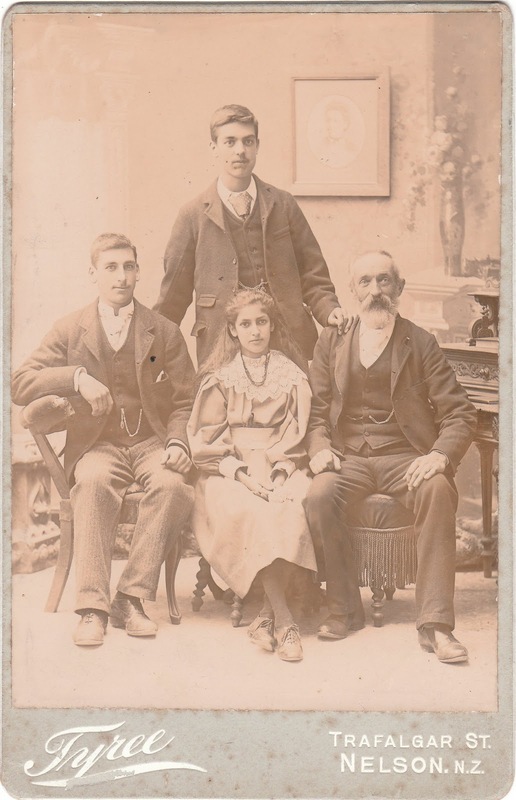 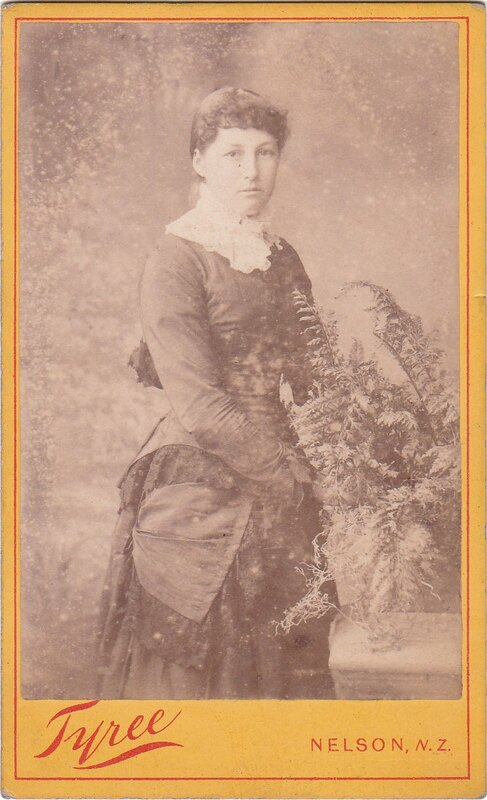 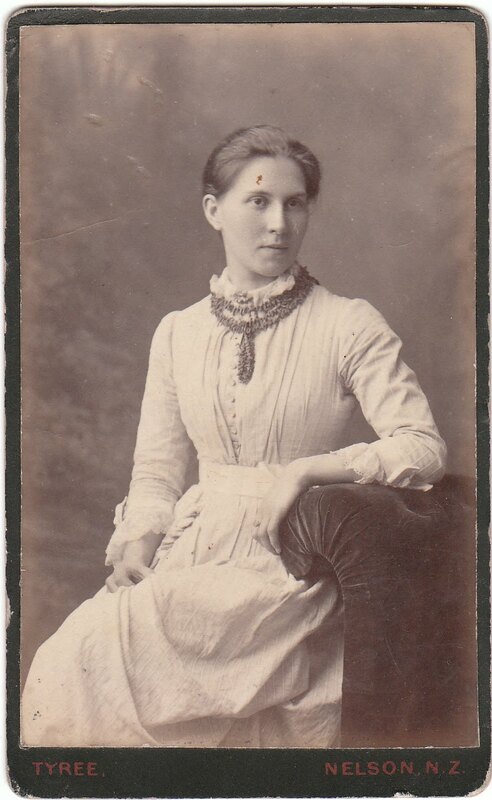 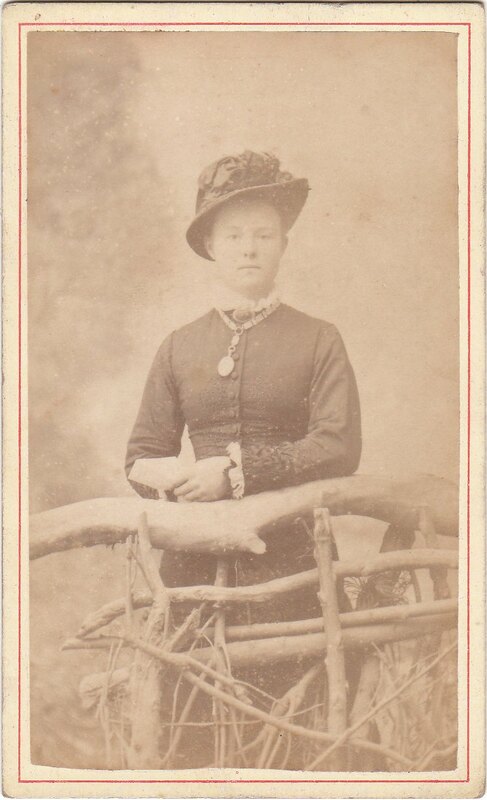 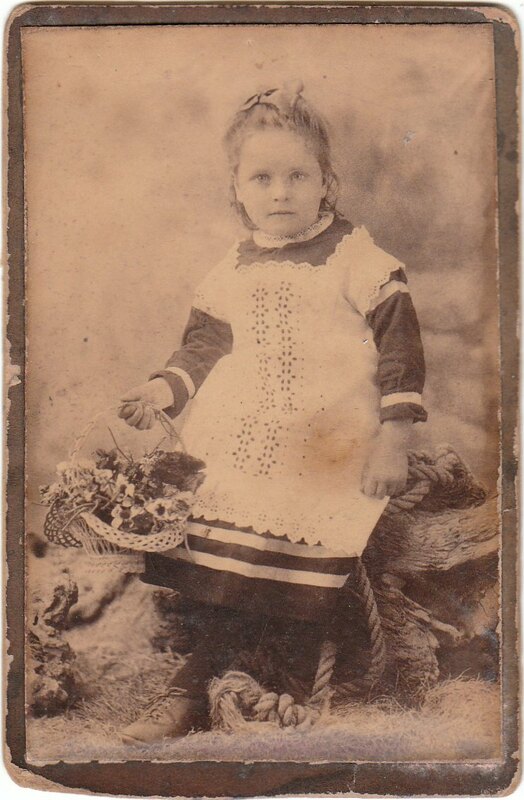 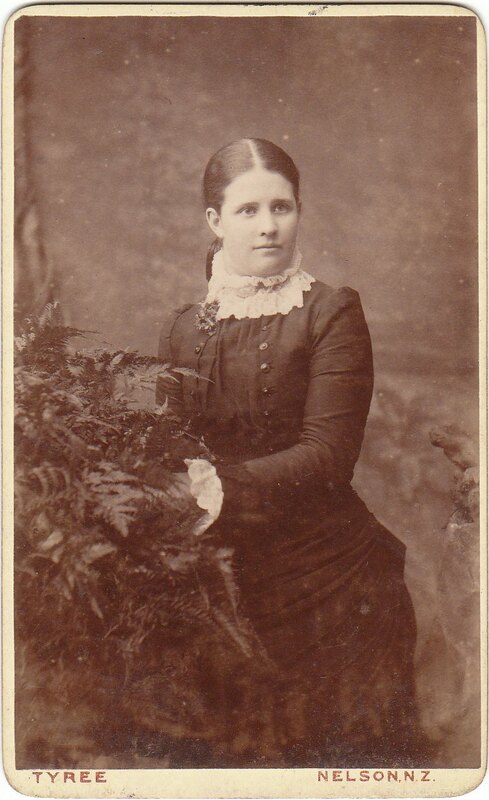 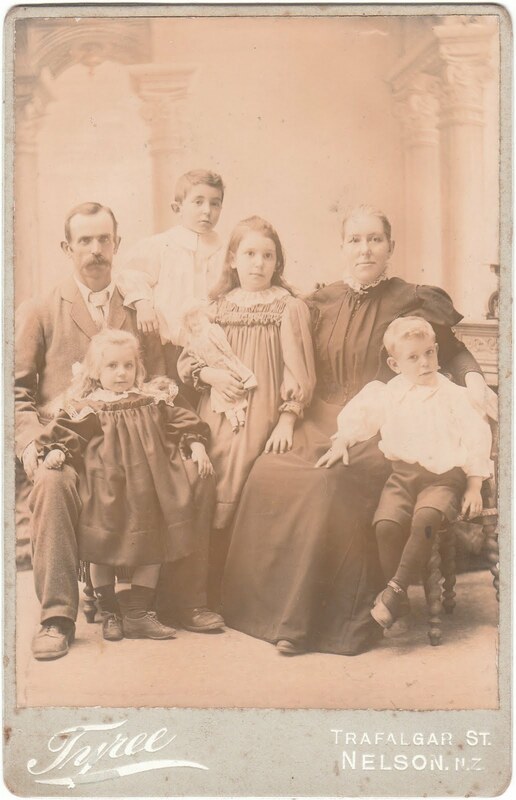 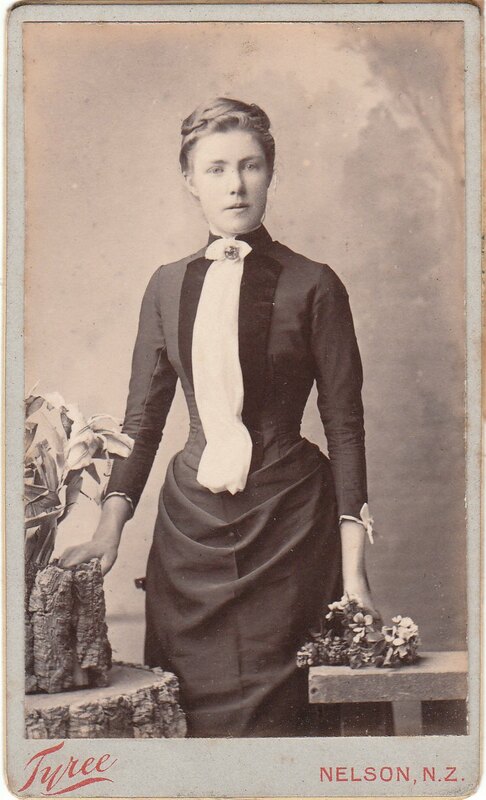 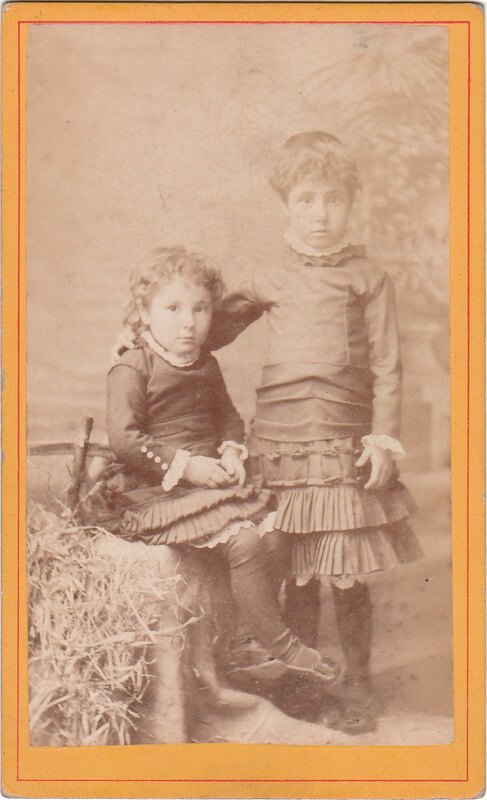 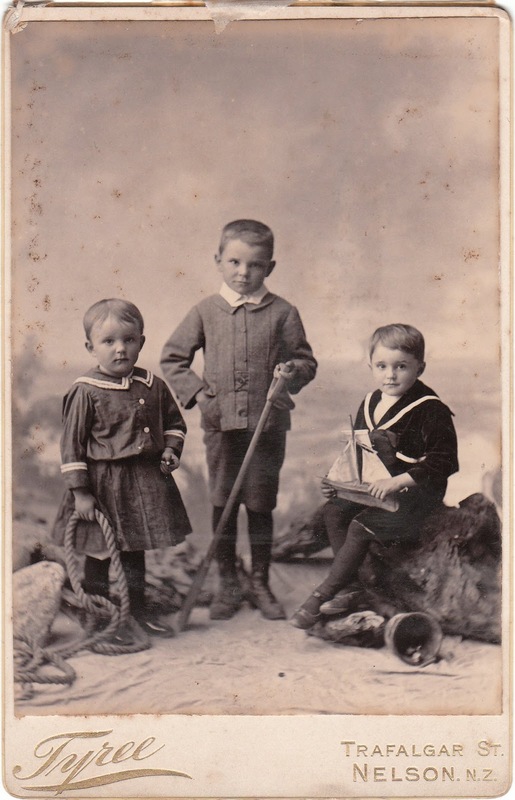 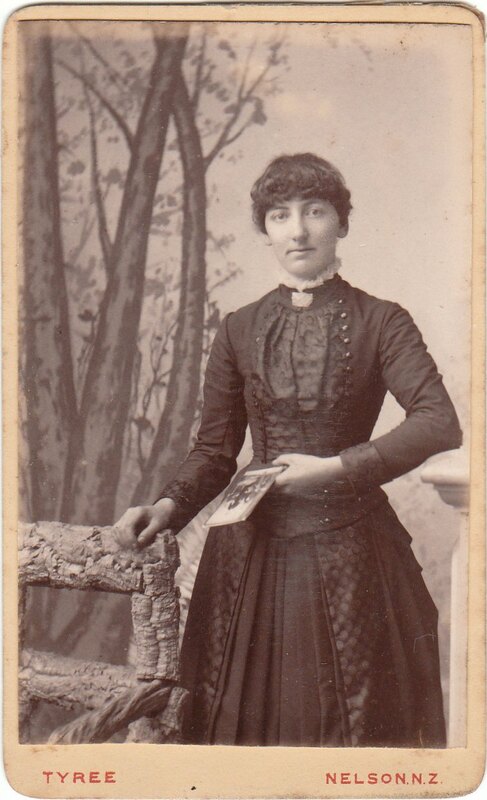 The family was one with wide photographic interests. His brother, Frederick, came out from London and after a sojourn in Dunedin later joined William and concentrated on the landscape aspect. 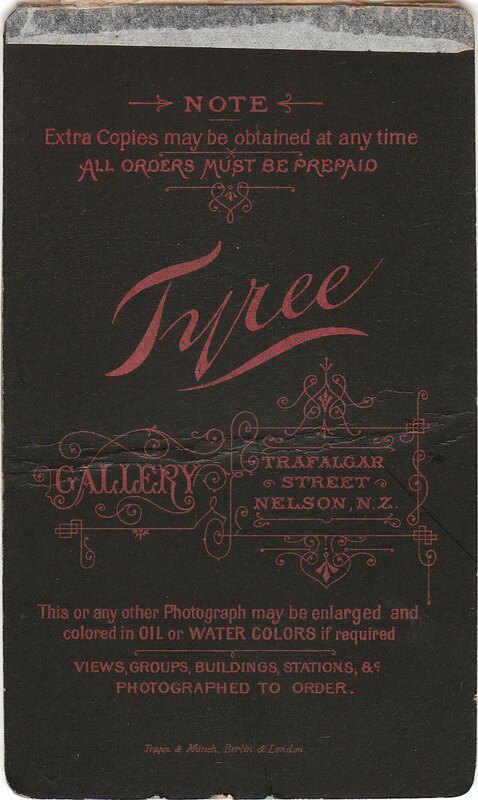 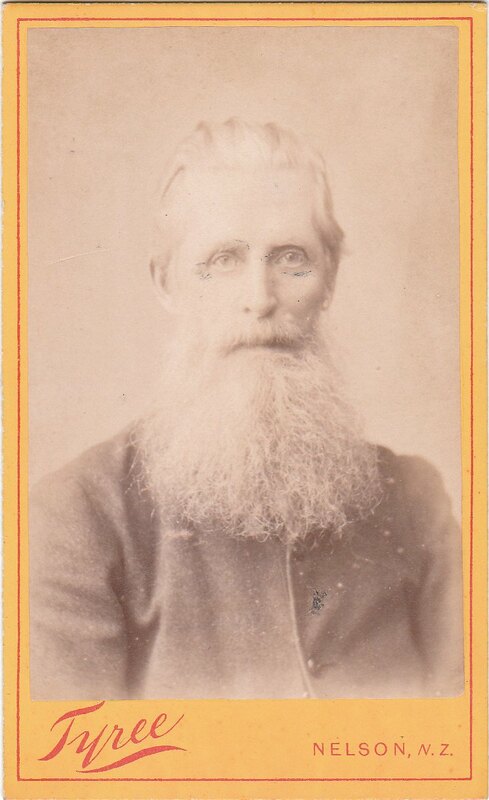 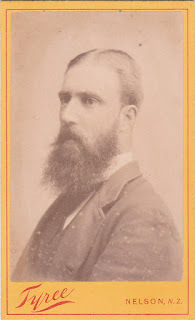 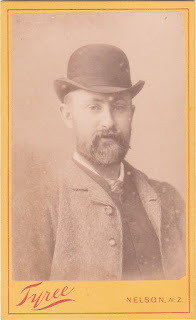 Another brother, Alfred, was a photographer in Christchurch. 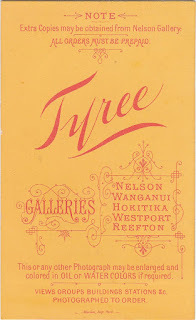 William Tyree might well he regarded as one of the pioneers in the field of tourist trade publicity. 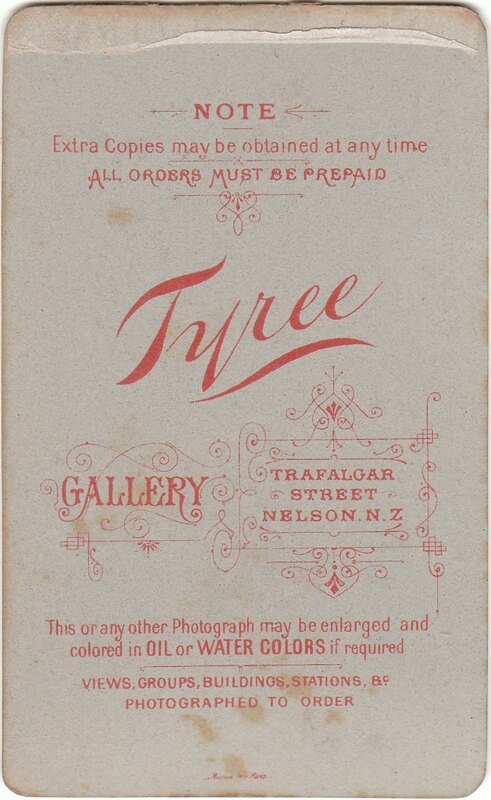 At the request of the proprietors of the Buller Coach Service, he took a large number of 10in x 8in pictures of scenery in the Nelson. 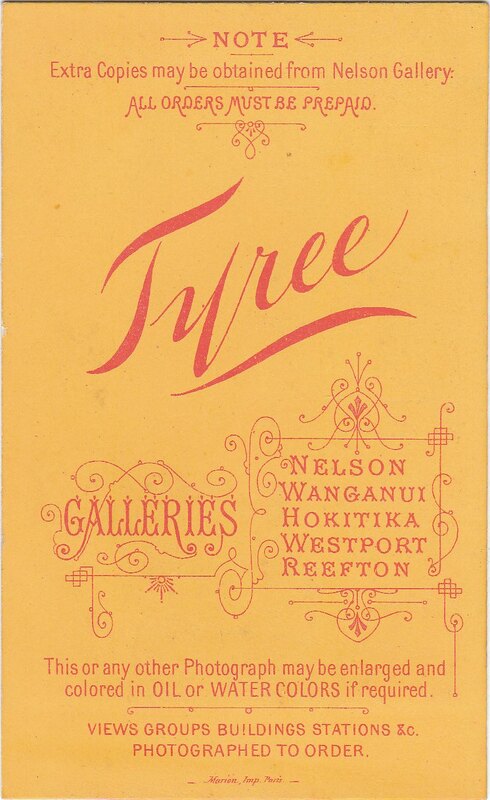 Blenheim and Buller districts for exhibition around New Zealand. 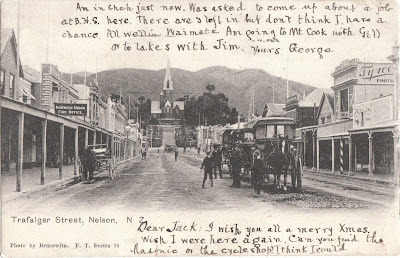 He followed this in June 1895 endeavouring to induce tourists to take "The Finest Coach Drive in New Zealand — 600 miles of road and river scenery between Christchurch and Picton via the West Coast and Nelson”. 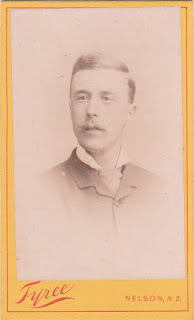 William had much in common with the average photographer who likes to tinker with things, as he was a prolific inventor of all sorts of gadgets, none of which, however, appear to have made much impression on trade and industry. 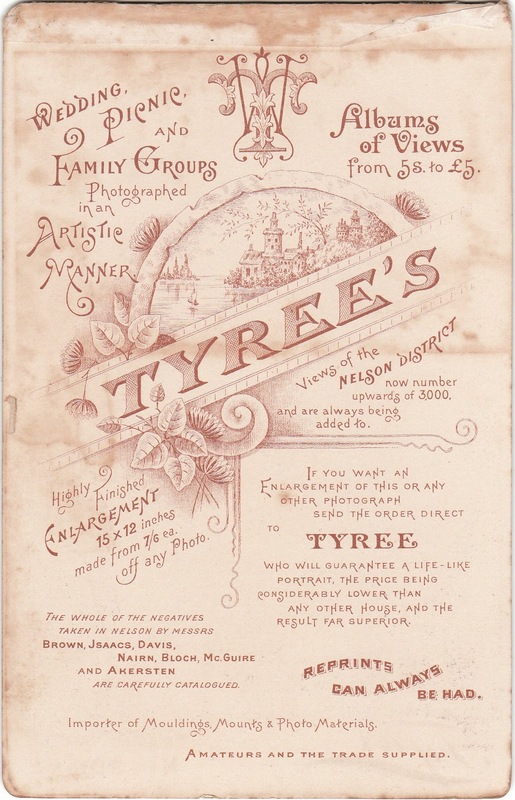 A number of ornate letters patents, some in foreign languages, still exist for such diverse patents as an improved egg tester, an improved mouse trap, and improved life-saver and an apparatus for washing clothes. 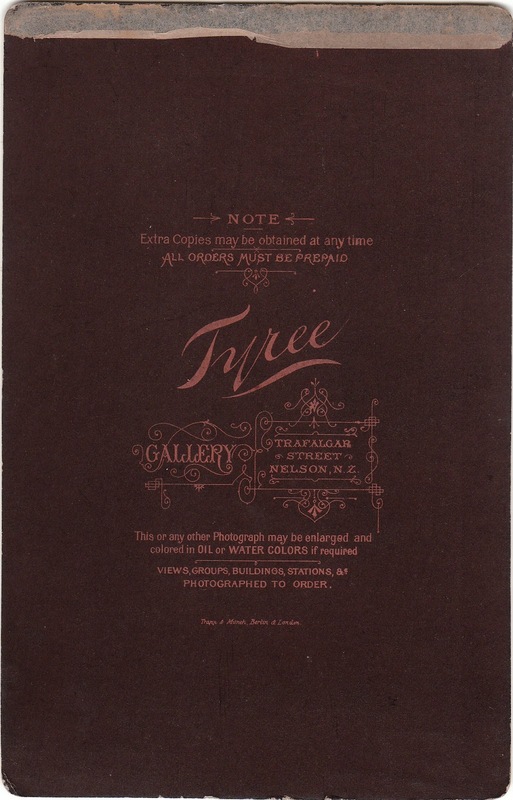 An early letter head lists 25 Tyree patents from Tyree Insect Death, to Tyree Refrigerator Paint Powder. 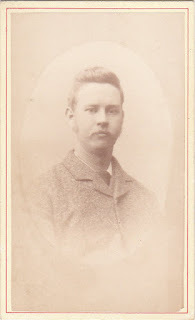 He was also an early enthusiast for acetylene gas and calcium carbonate. 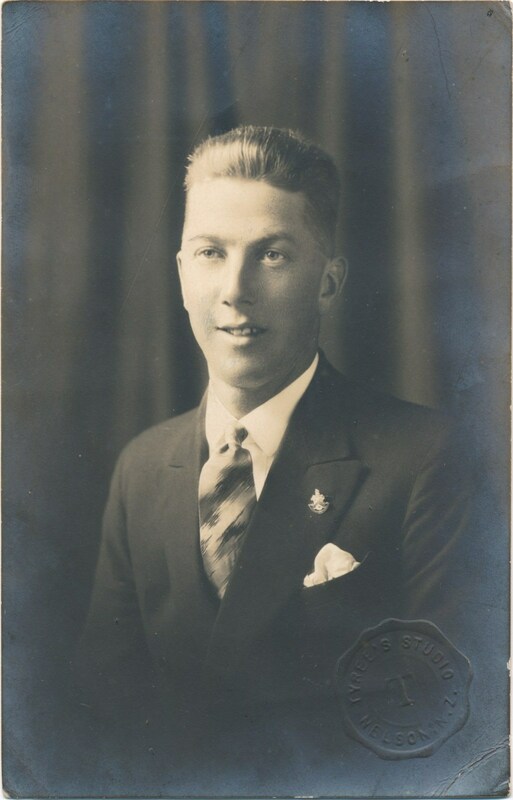 He wanted to light Nelson with acetylene gas but councillors considered it too dangerous, and made him keep his supplies on the outskirts of the town. 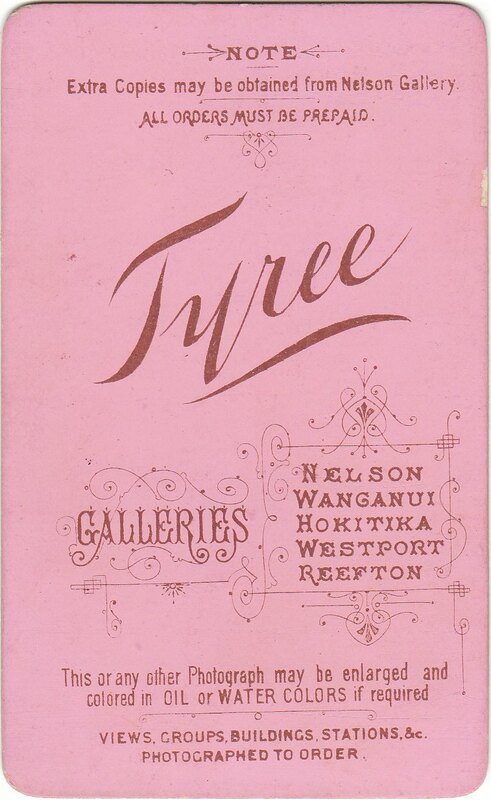 It is rather an interesting note that although William Tyree photographed thousands of people, it has taken years of searching by the Nelson Historical Society to positively identify a photo of William himself. 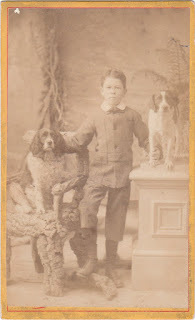 Eventually one was found and it is not surprising that he is standing proudly beside his pride and joy—his acetylene generator. 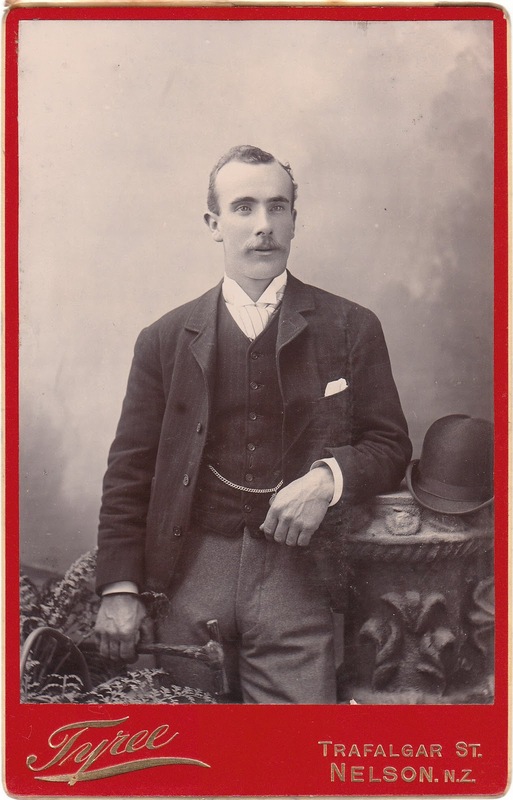 He was a man of many talents. 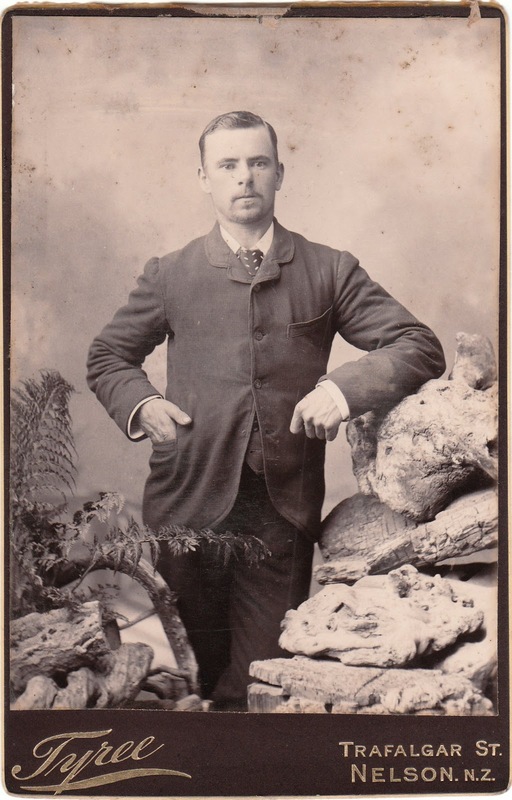 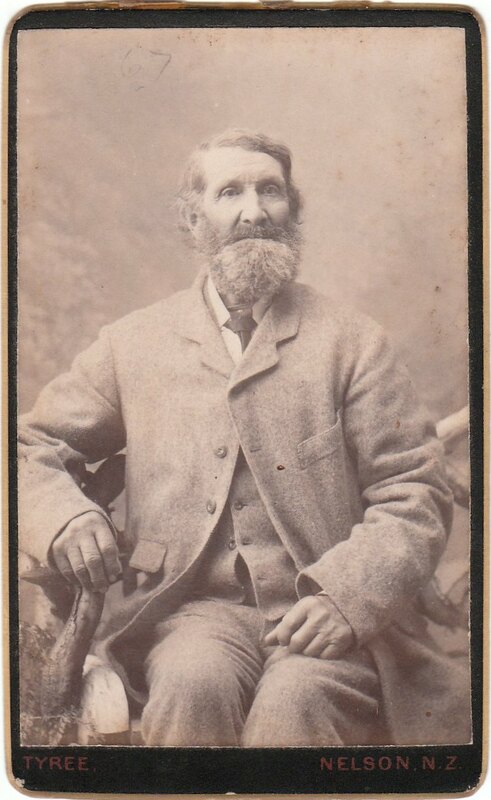 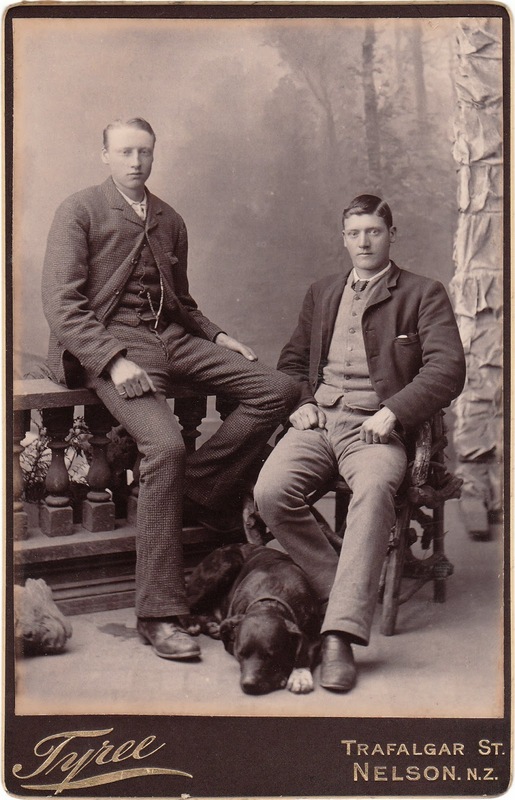 His partnership with his brother Frederick did not last long as Frederick left in 1889 for Takaka where he set up as a photographer and he eventually left professional photography about 1906 to farm at Collingwood. 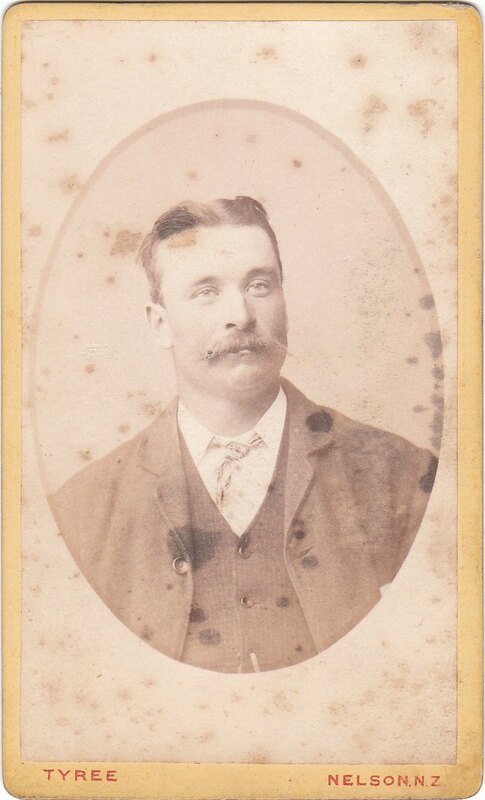 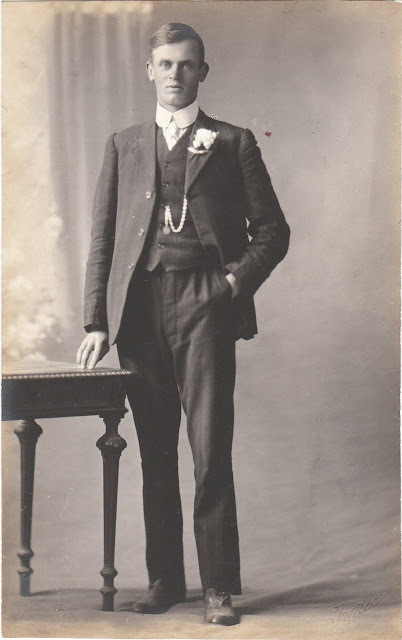 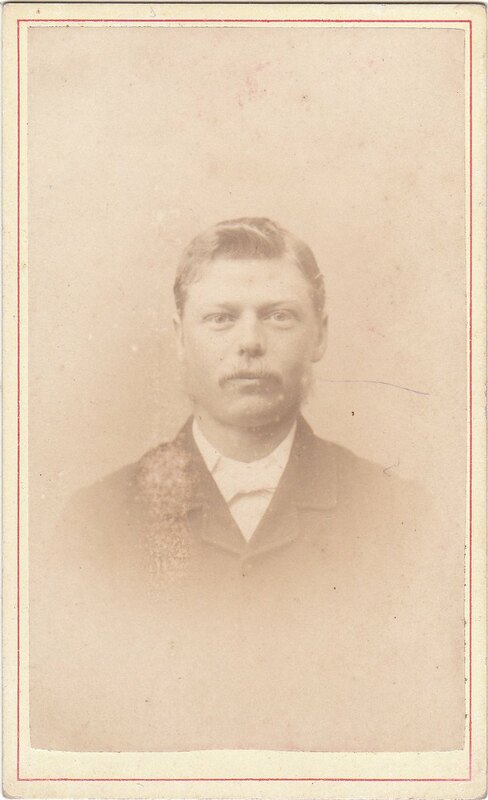 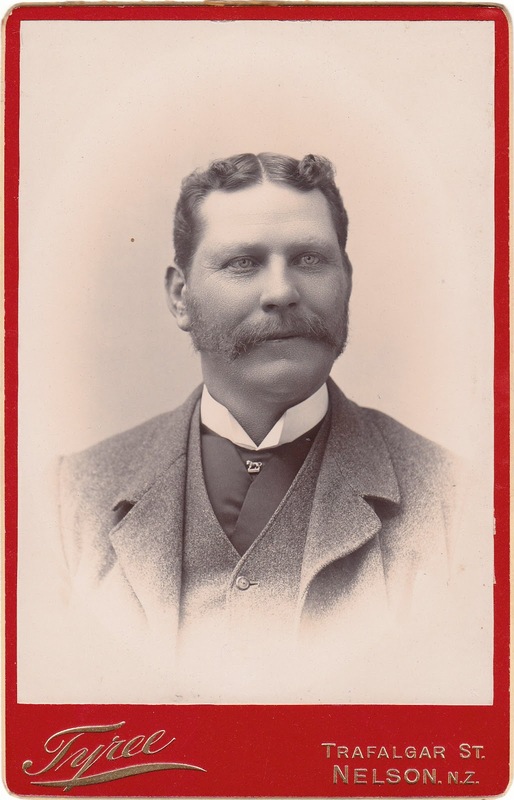 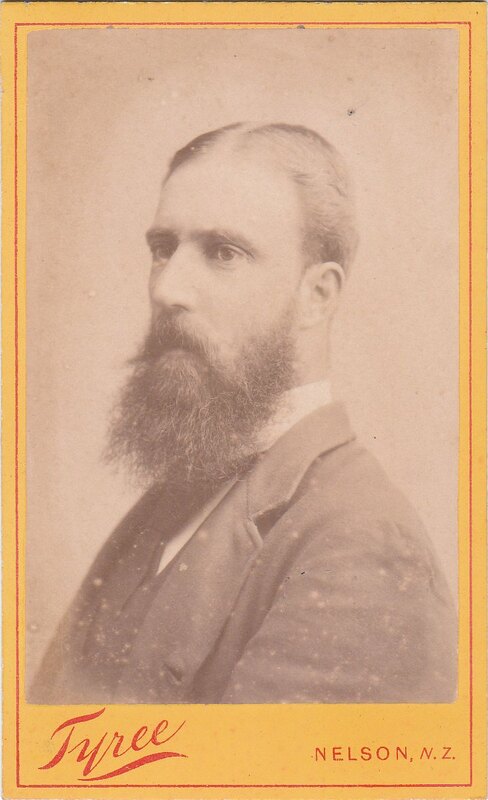 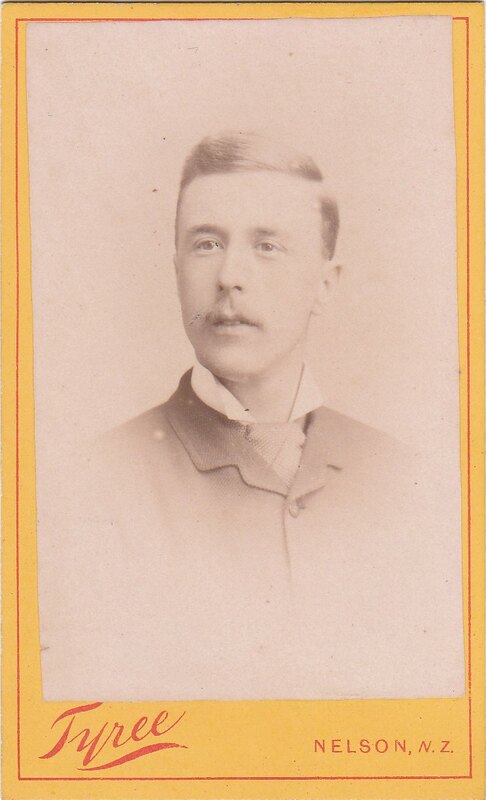 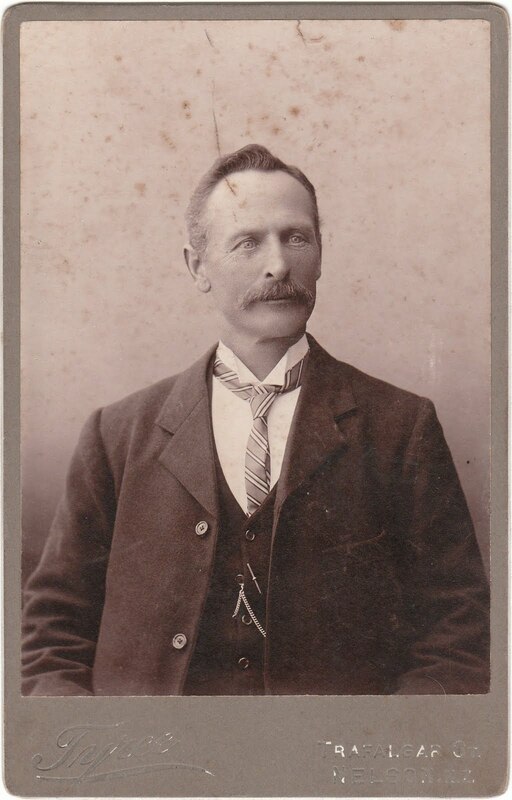 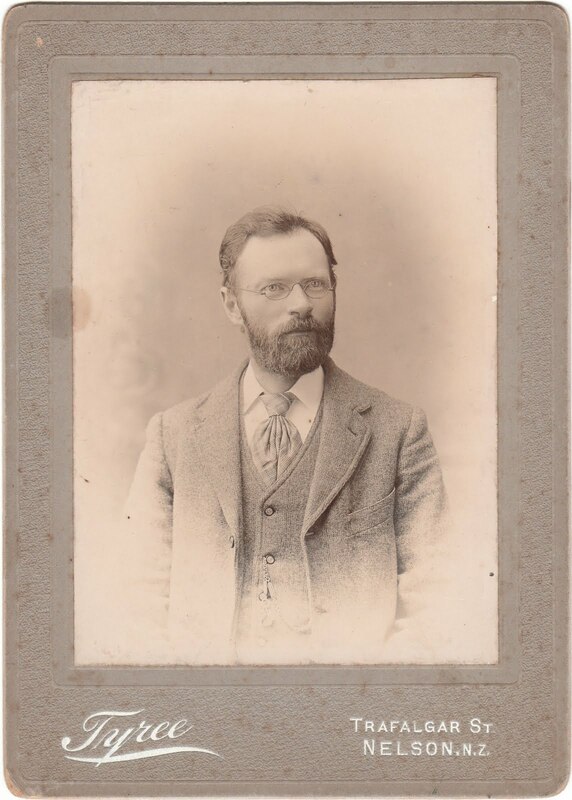 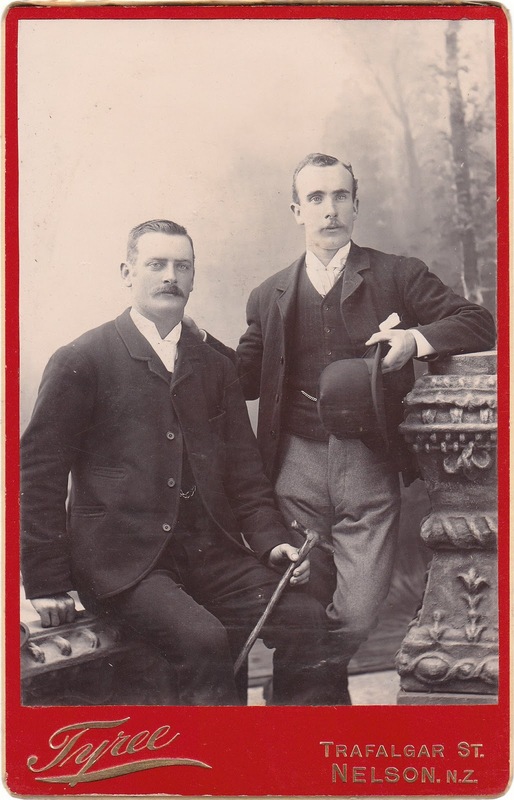 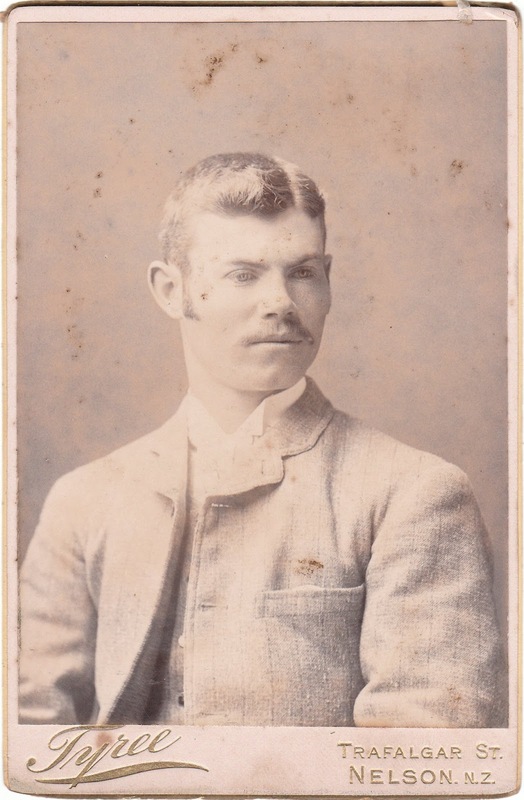 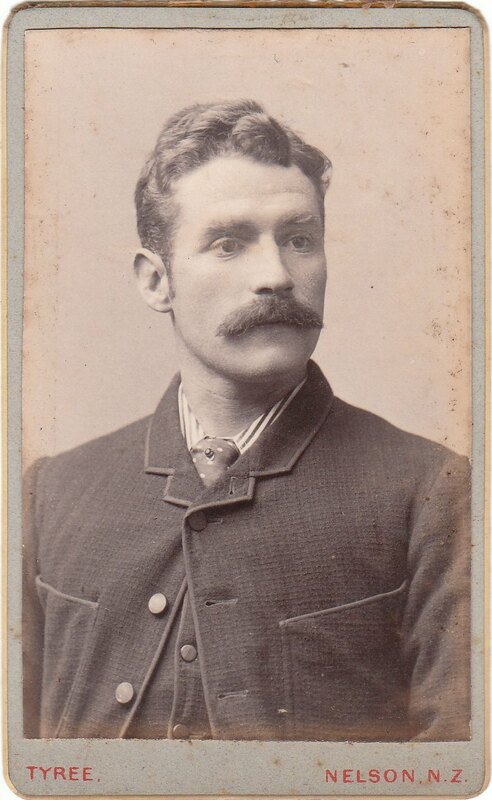 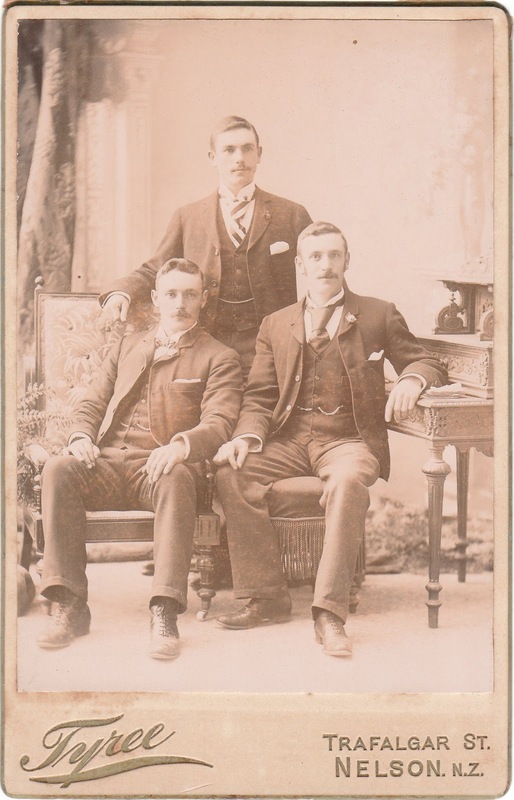 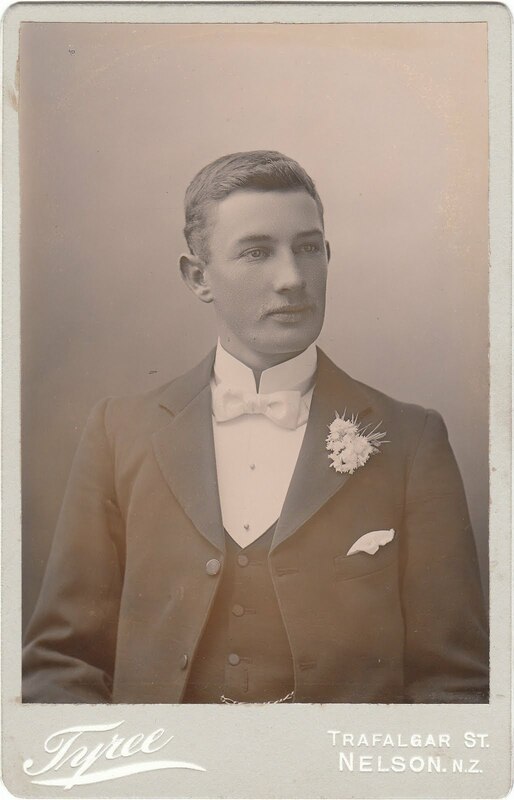 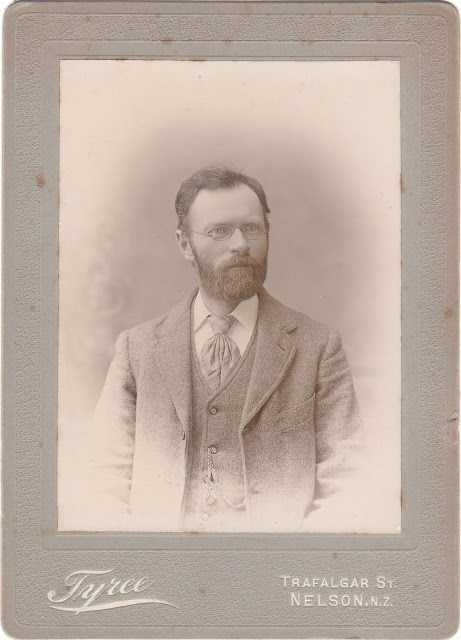 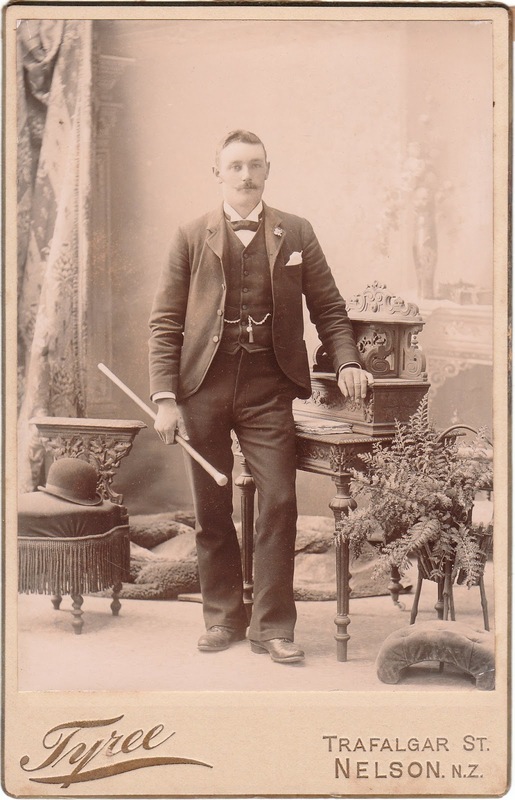 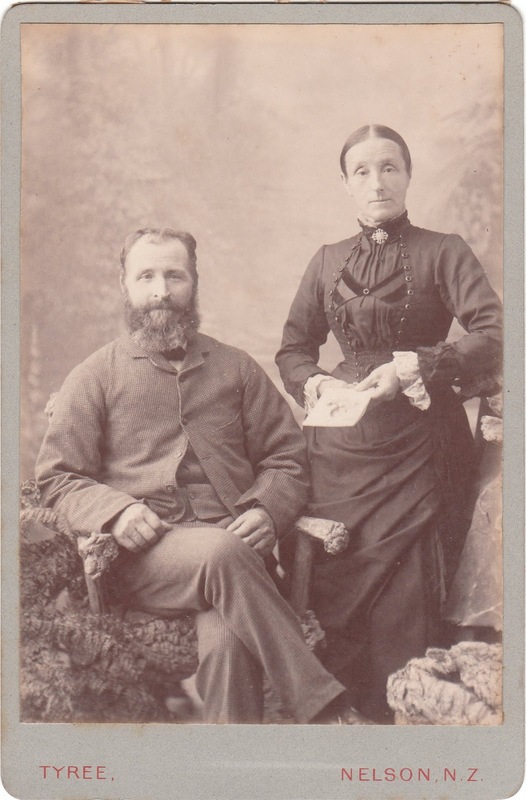 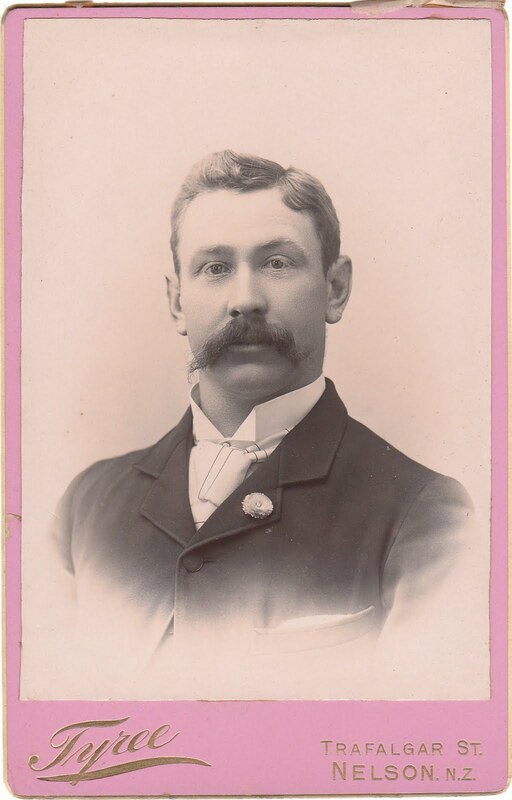 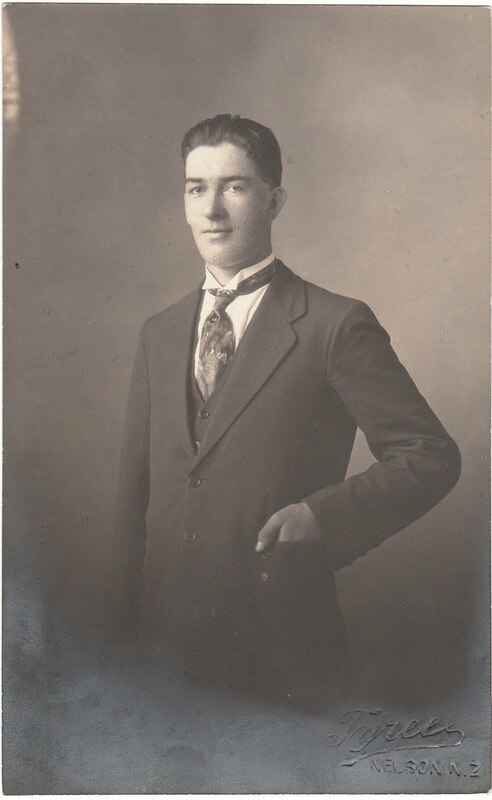 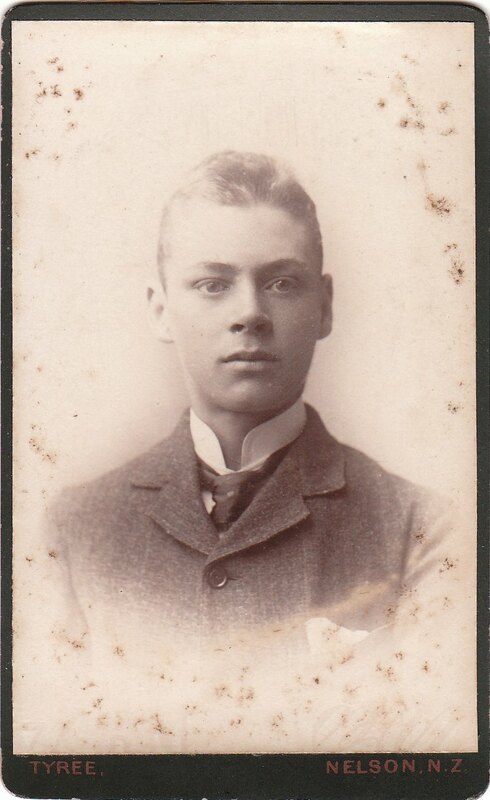 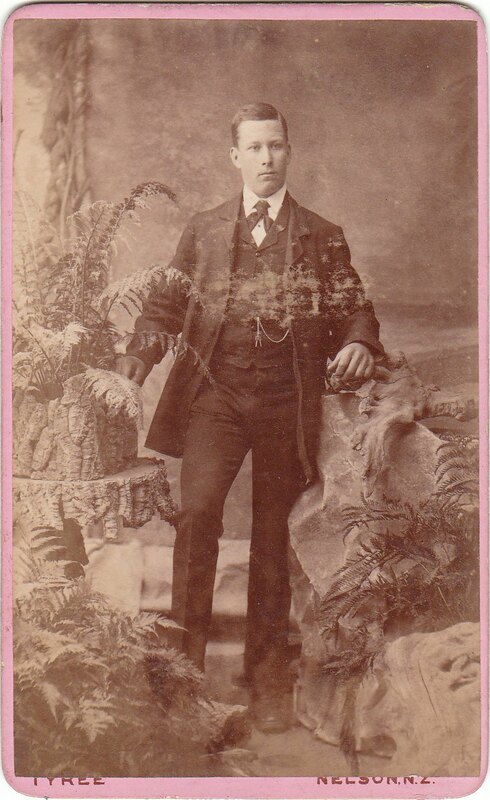 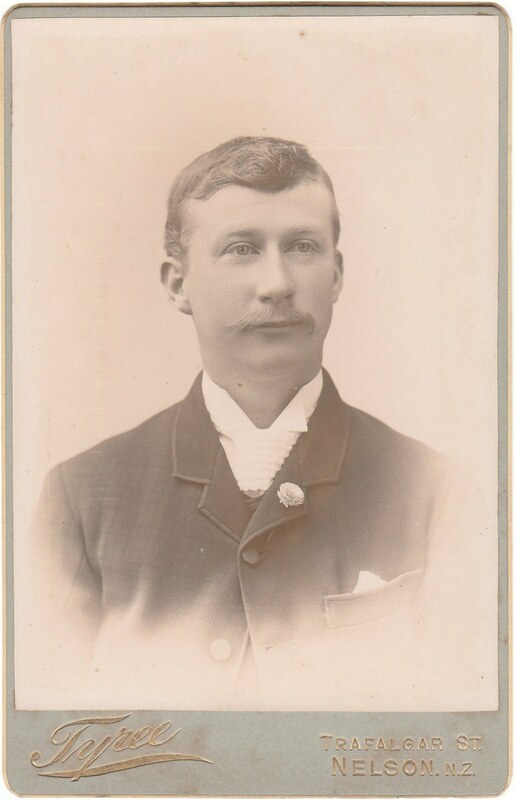 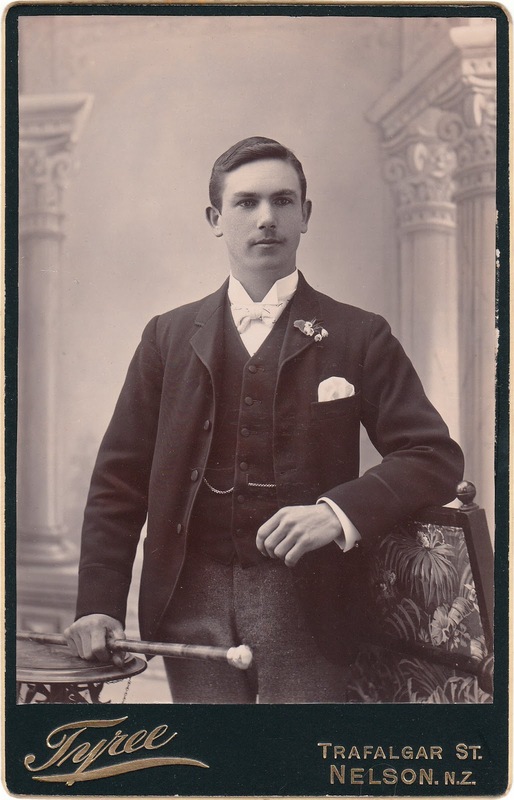 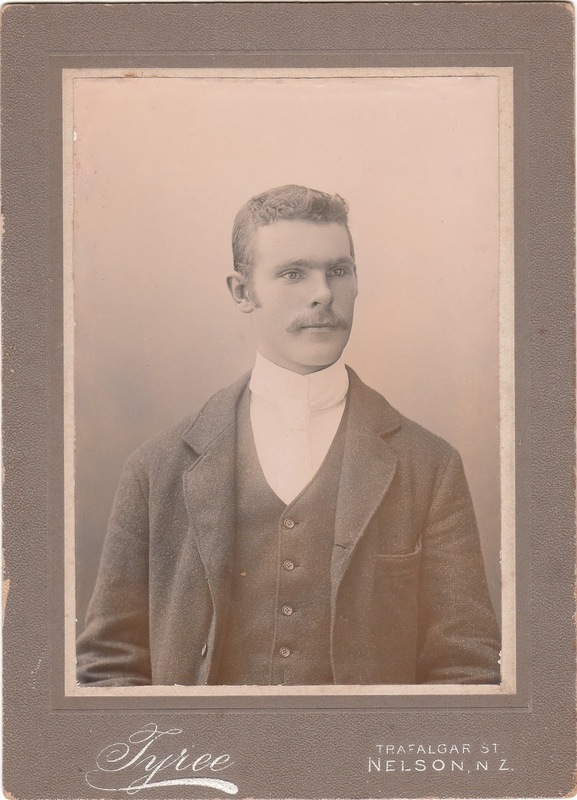 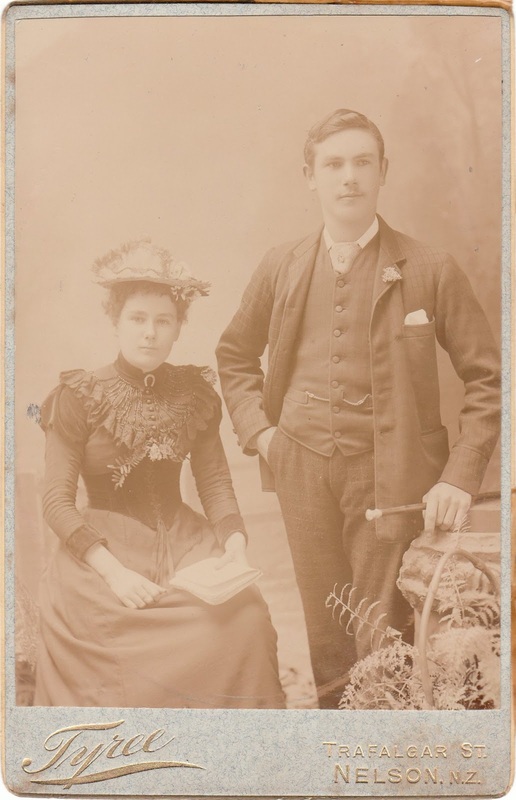 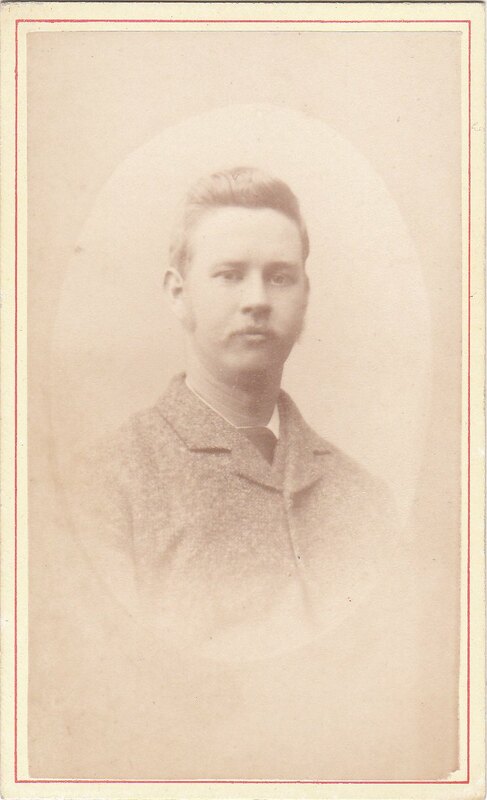 In 1896 he went to Sydney to start a firm, Tyree and Tyree, Engineers and Ironworkers, and left a manageress to look after his Nelson photographic business. However, the beginning of World War I put an end to his Sydney business. 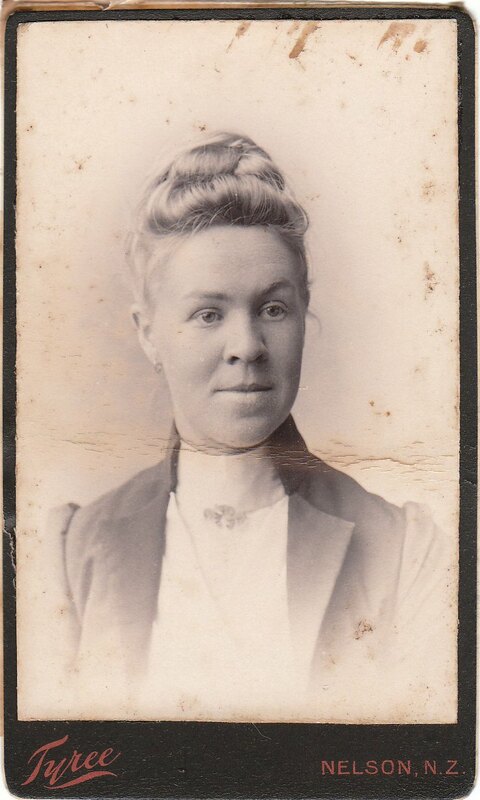 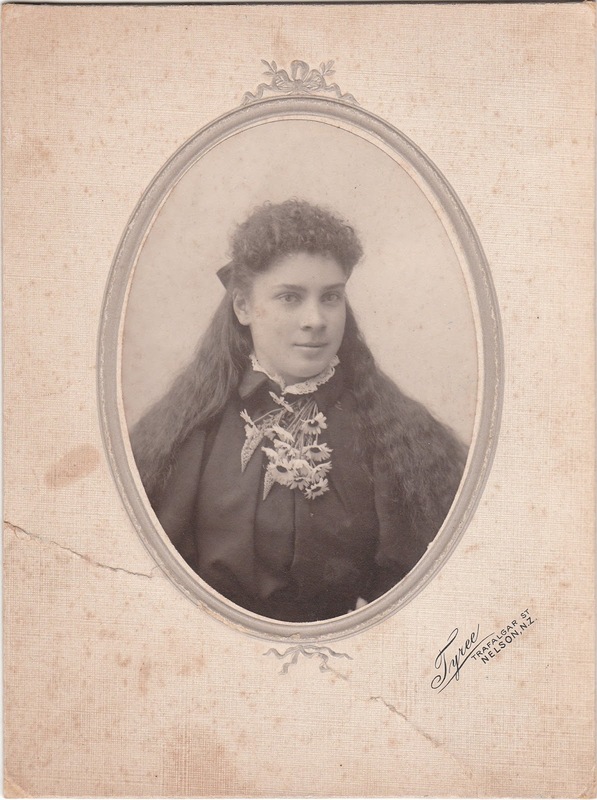 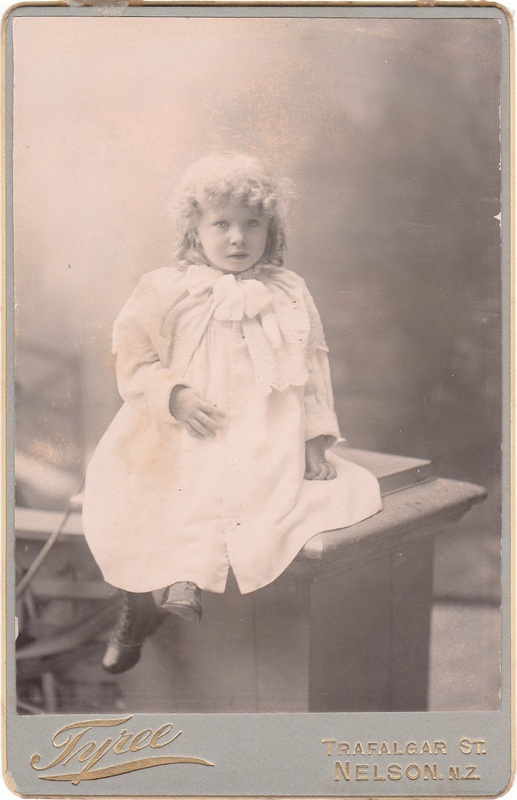 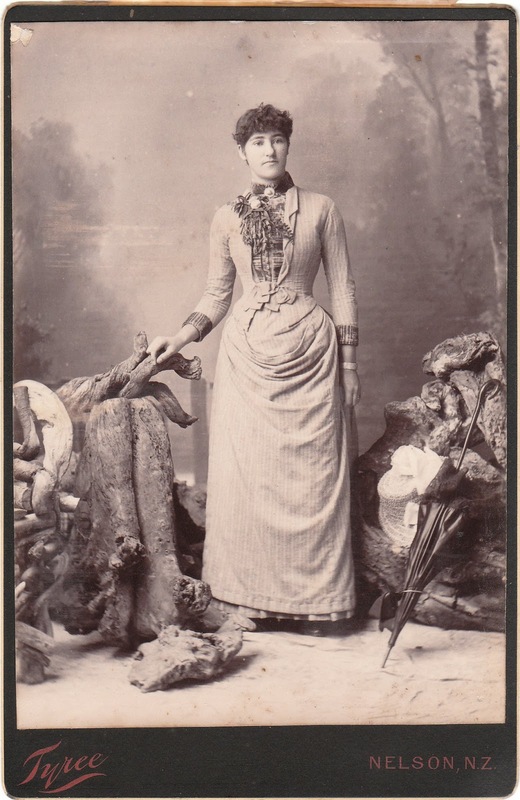 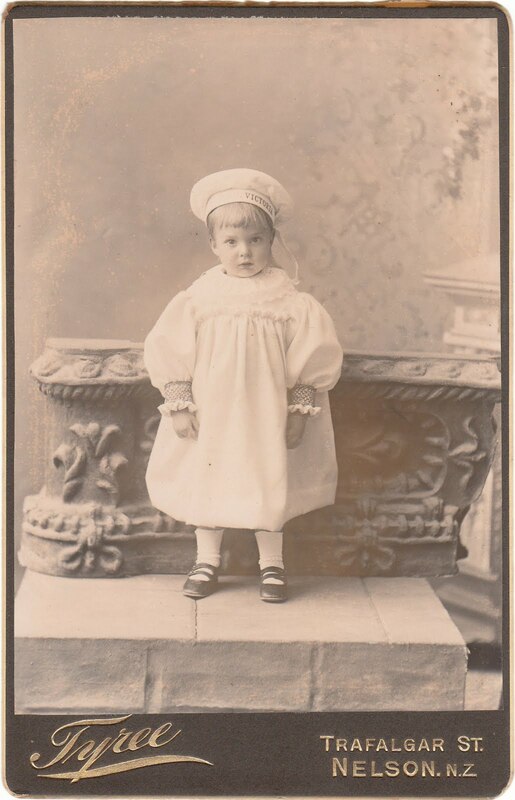 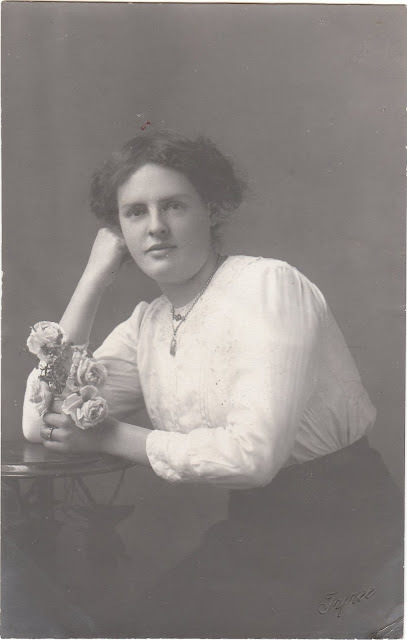 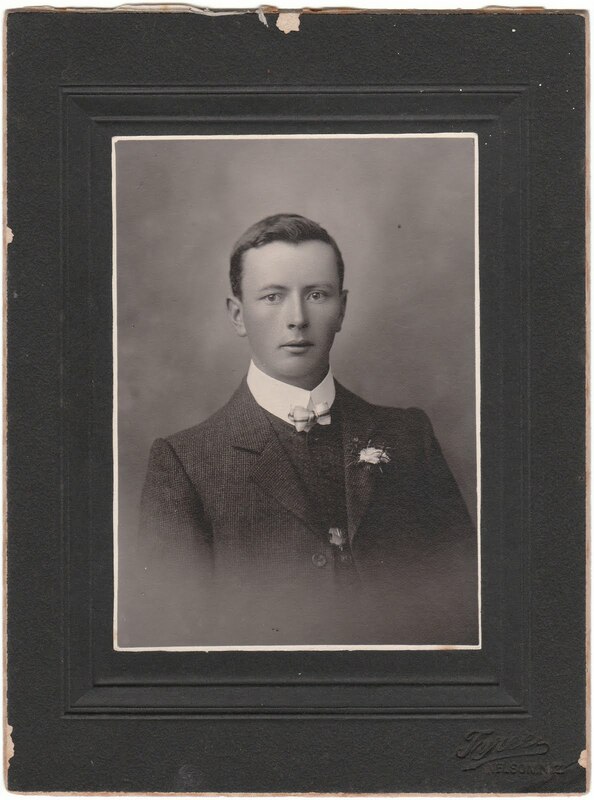 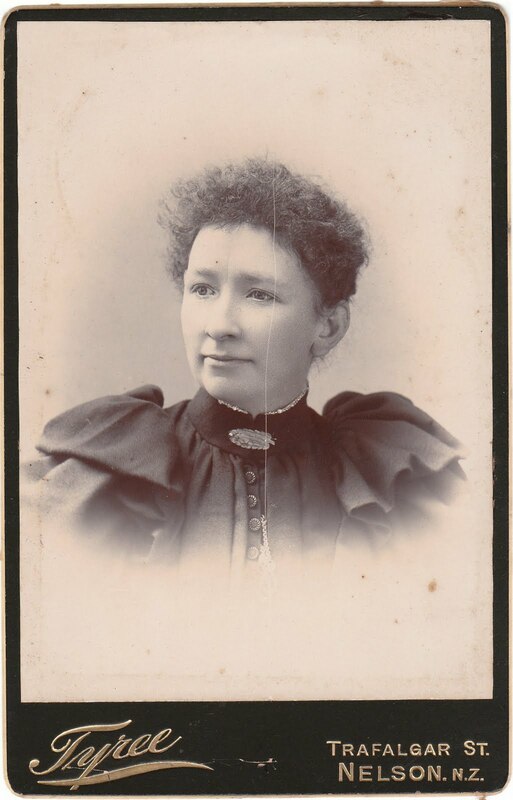 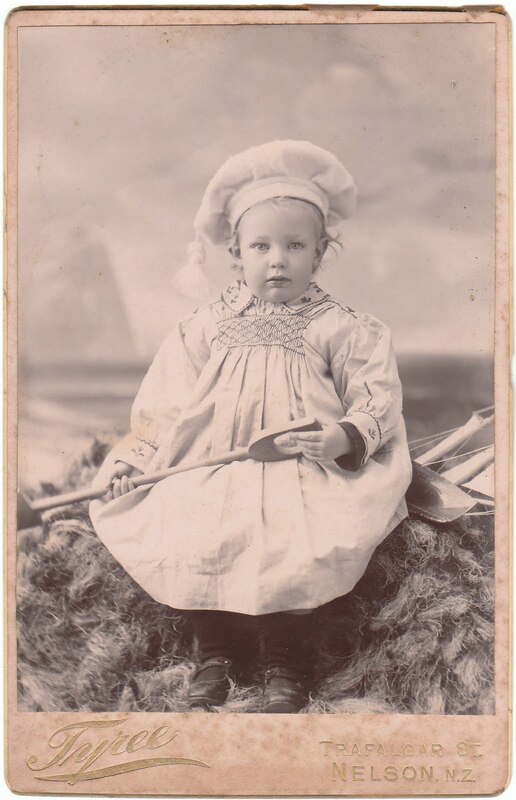 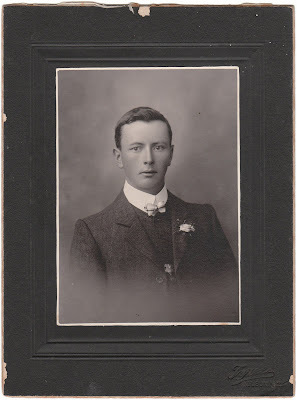 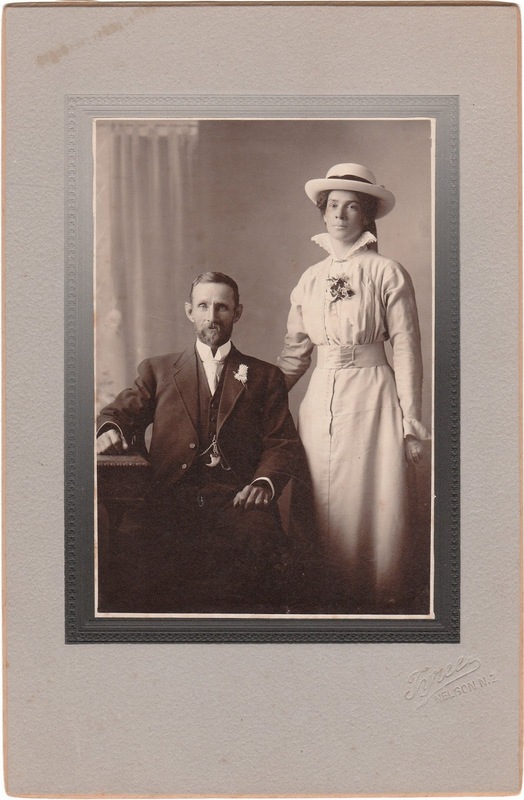 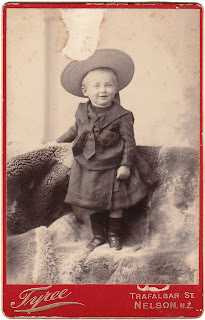 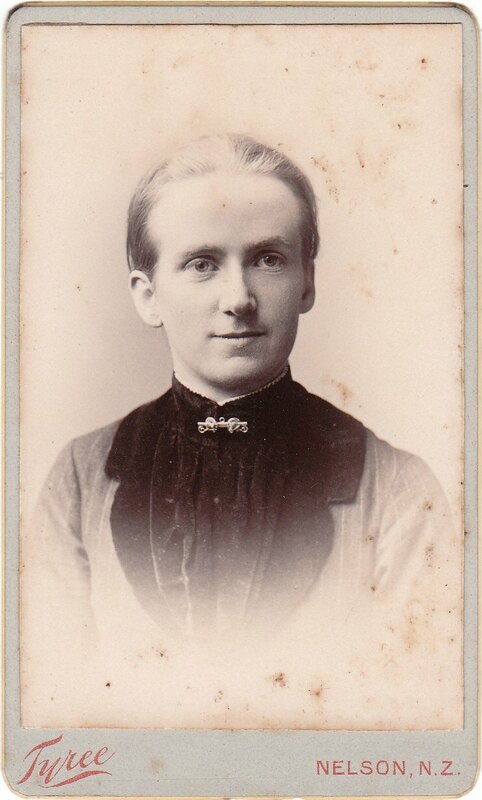 In November 1911 he wrote from Sydney and sold his Nelson photographic business to Miss Rosalie Frank who had acted as manageress under power-of-attorney since Tyree’s departure for Australia. 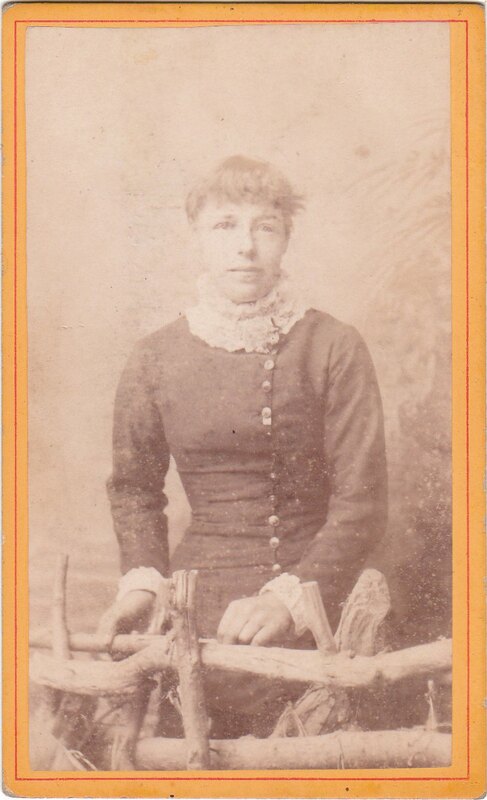 She had been an employee for a number of years. 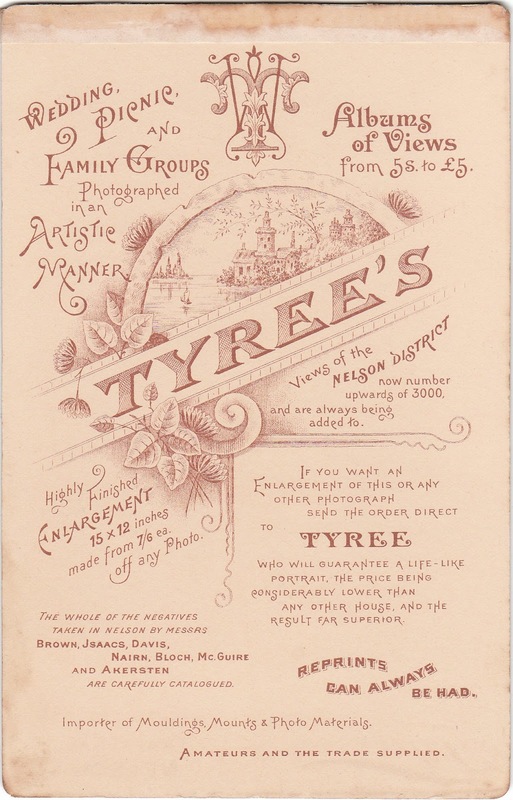 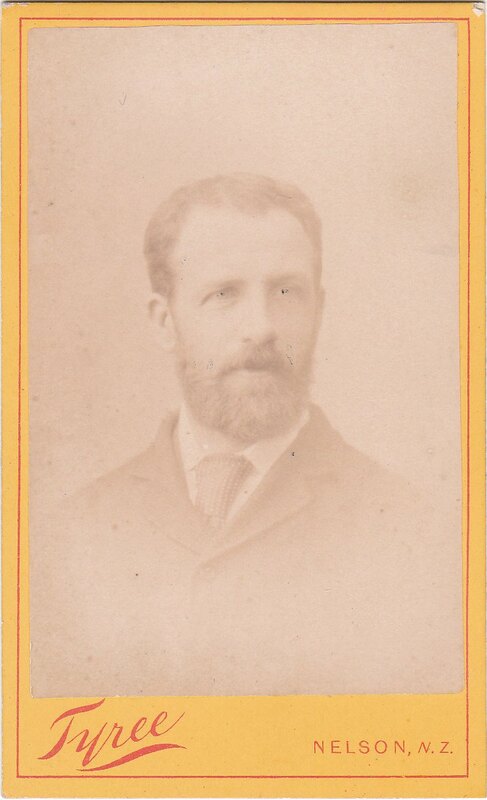 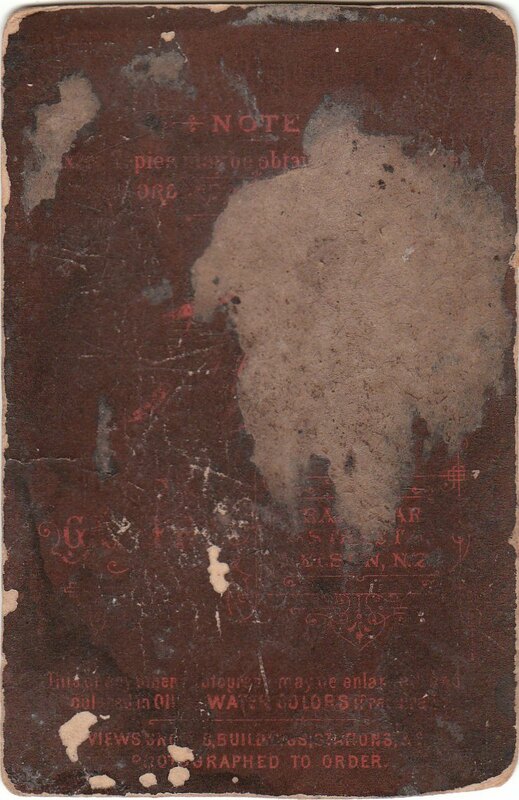 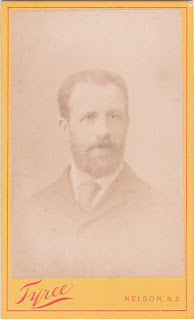 In his letter making arrangements, Mr Tyree said he would sell the business for £750 and added: "This is considerably less than I was offered for it, but I recognise that you have done your best for me all the years - and I should sell it to you at a lower price—I agree for you to keep the name up and carry on as usual". Miss Frank, who died in October 1954, gave the Tyree Collection of negatives and photographs to the Nelson Historical Society in June 1954 and it was later handed over to the Nelson District Museum. 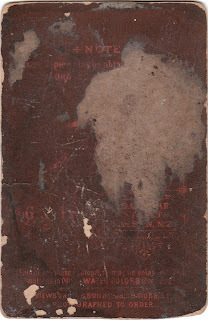 Much work has been done on the collection but the sheer volume of the material means that progress is slow. Because of the period covered by the collection, the negatives include the works of several photographers other than the Tyrees. 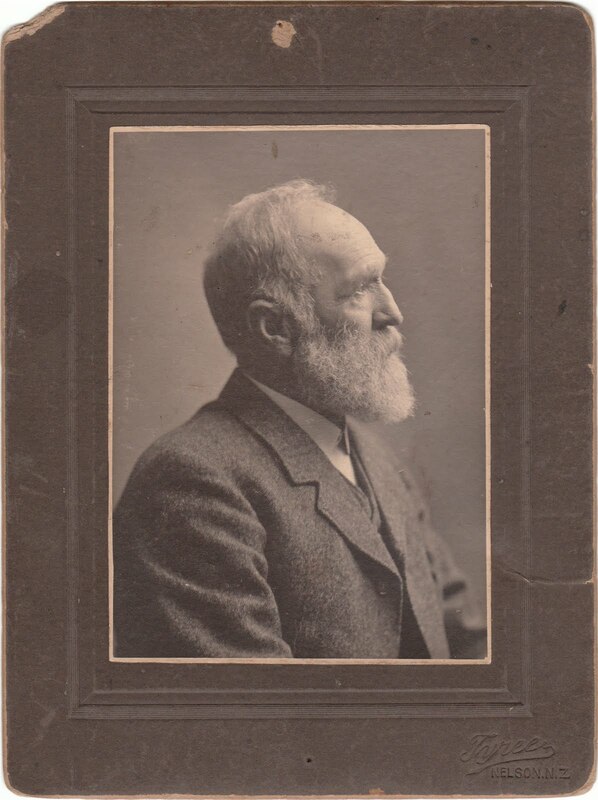 These include W. E. Brown, Theodore Block, Davis and Nairn, Isaac and Clark, F. N. Jones, Bruswitz, Akersten, etc. 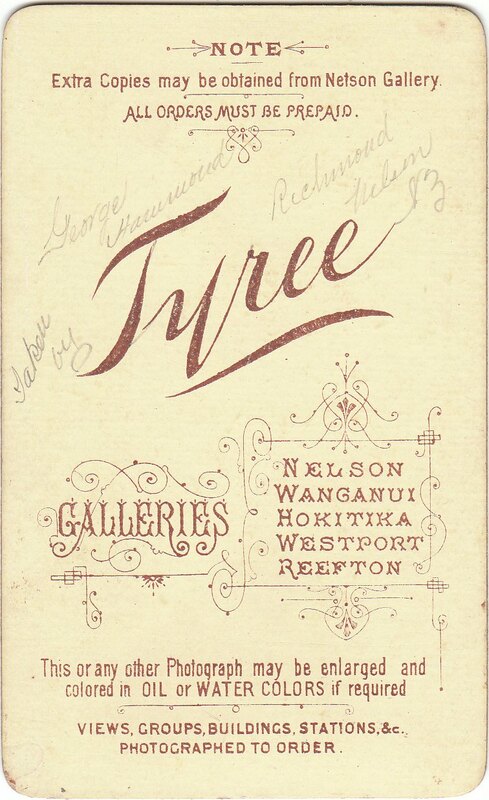 The new Nelson Provincial Museum is being built and it is intended to transfer the collection to the new building as soon as possible, although they are quite secure in their present concrete hunker. The new facilities will include a print study room and facilities for processing negatives. 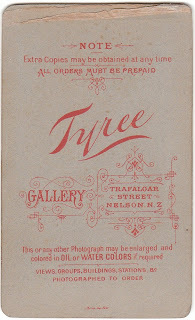 A small number of 10 x 8 plates historical and scenic were given to the Alexander Turnbull Library at some early date, and they have held these for many years. But the rest of the set has been kept together in Nelson. 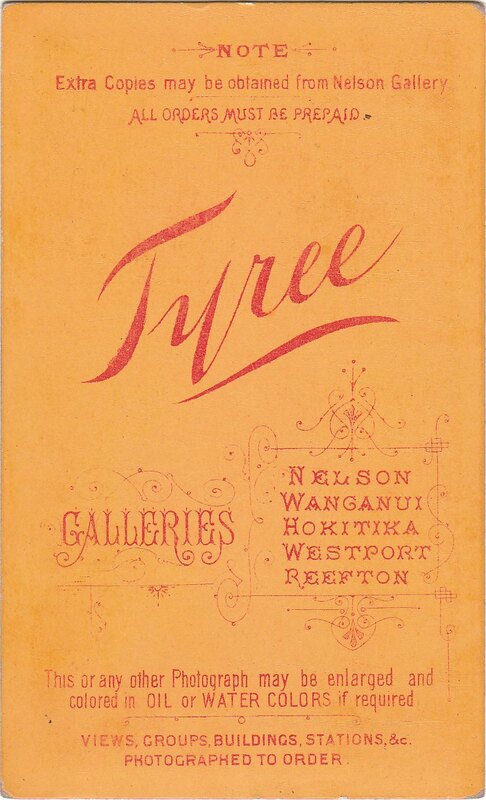 New Zealanders will be increasingly grateful in future years that such a superb collection has survived and been kept in one unit in its home district for future generations to use. 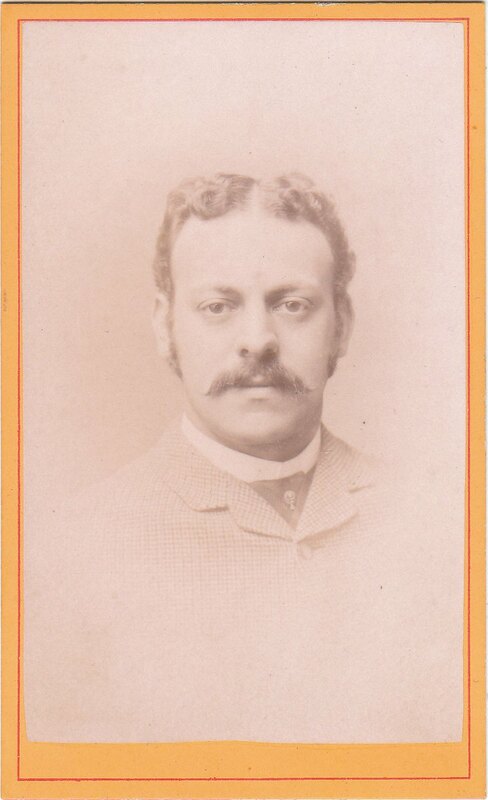 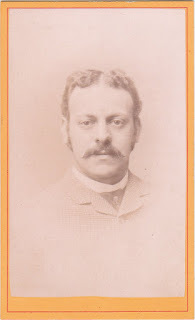 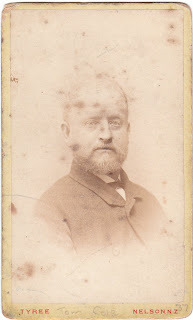 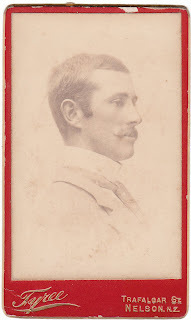 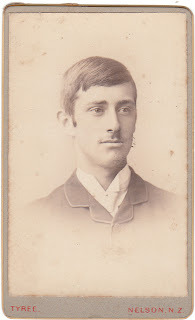 above and below, two photographs of the same man by Tyree of Nelson; the reverse of lower photograph is inscribed "Alfred Peart". 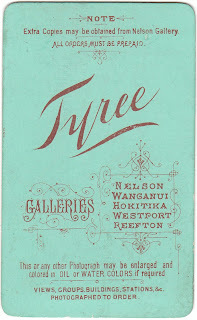 Tyree Collection as "Miss Tovey"
DARIAN ZAM said... Great article, thanks. 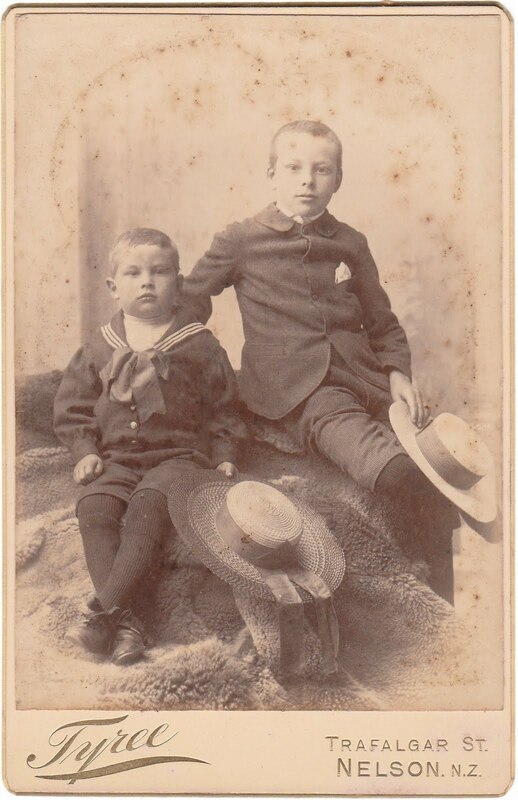 There is surprisingly little to find on the brothers given how prolific they were over such a period of time. 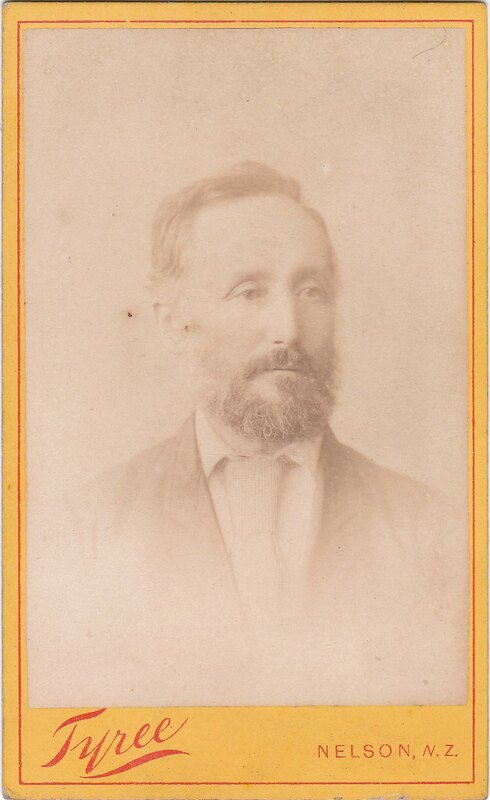 Even less on the previous generation James who must have been considered a pioneer in this field in New Zealand. There is more documentation on Alfred's later business in footwear manufacture than anything else. 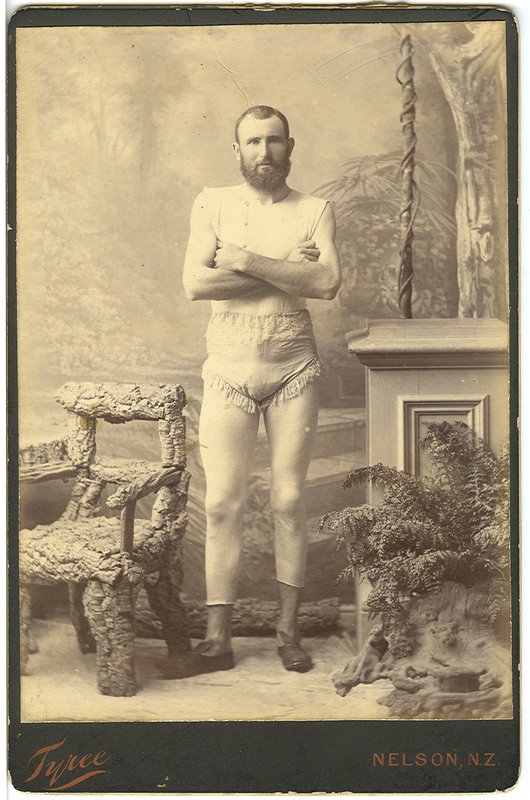 Interesting point about him not getting in front of the camera. I have found that is quite often the case with photographers. 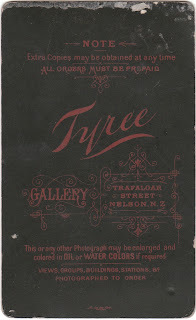 Shame the picture of Tyree himself has not been posted. 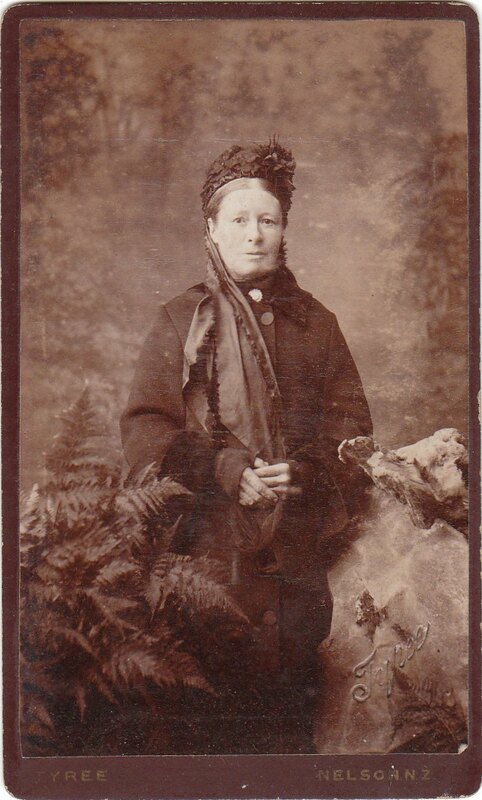 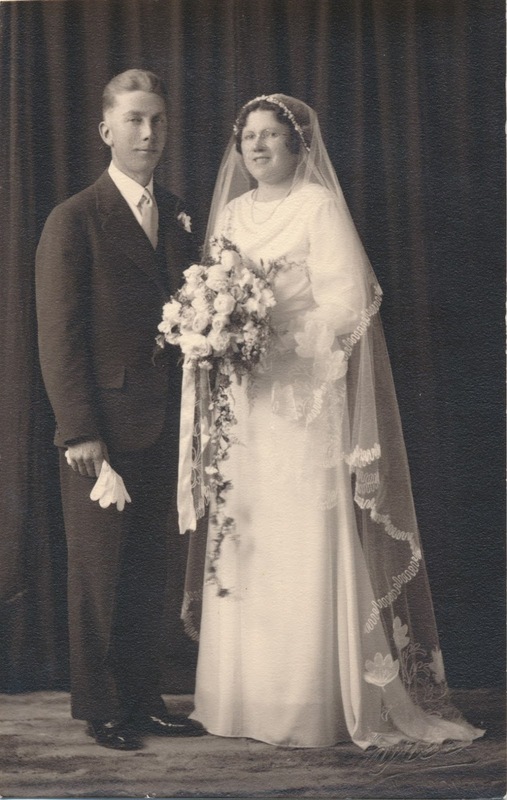 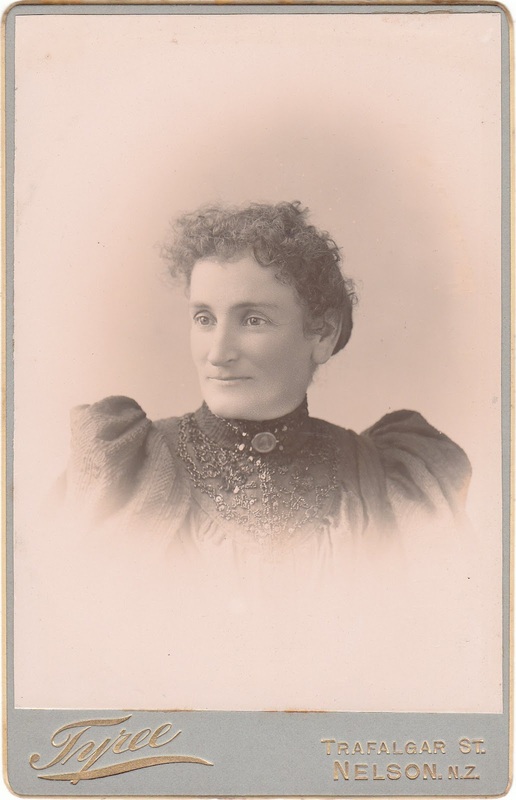 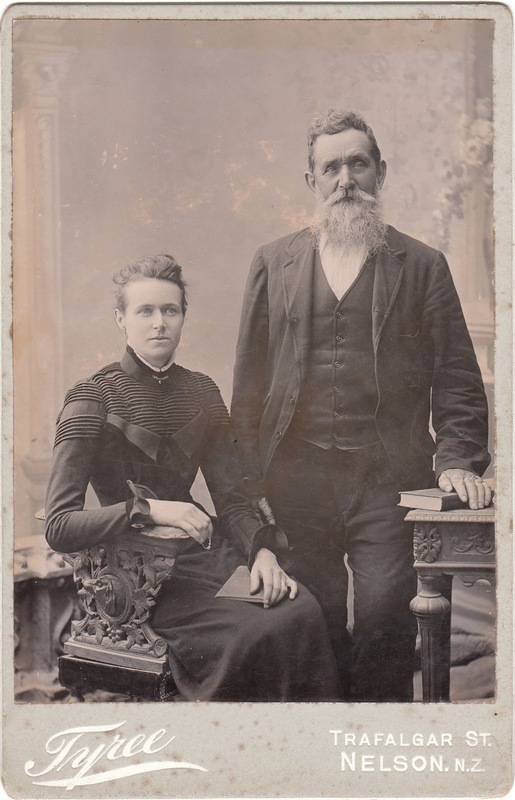 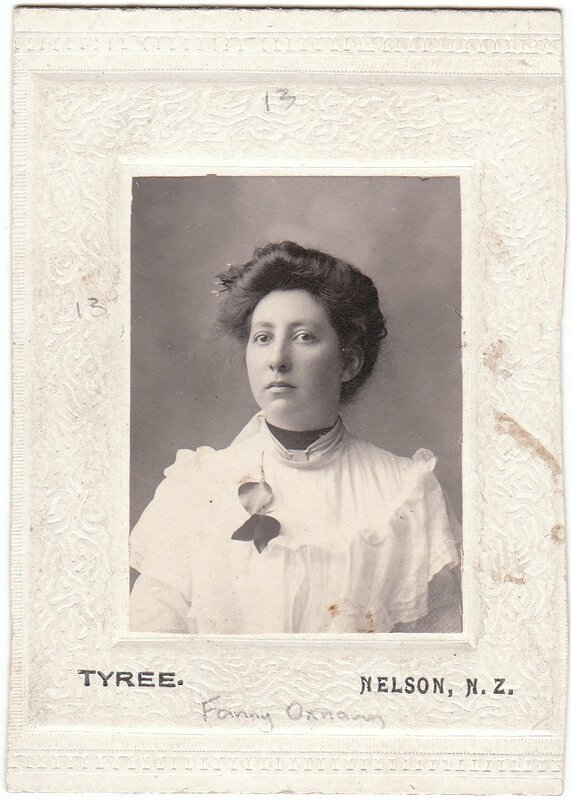 I am distantly related to the Tyree family through my great Aunt Irene Teward, nee Norman. 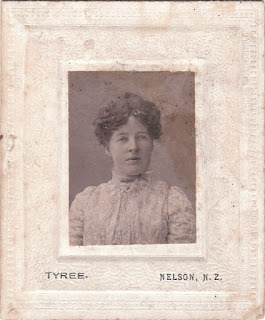 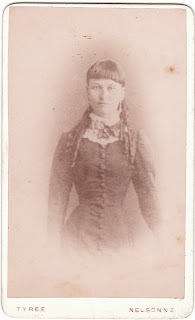 Alfred Tyree and Fred Tyree were her uncles.